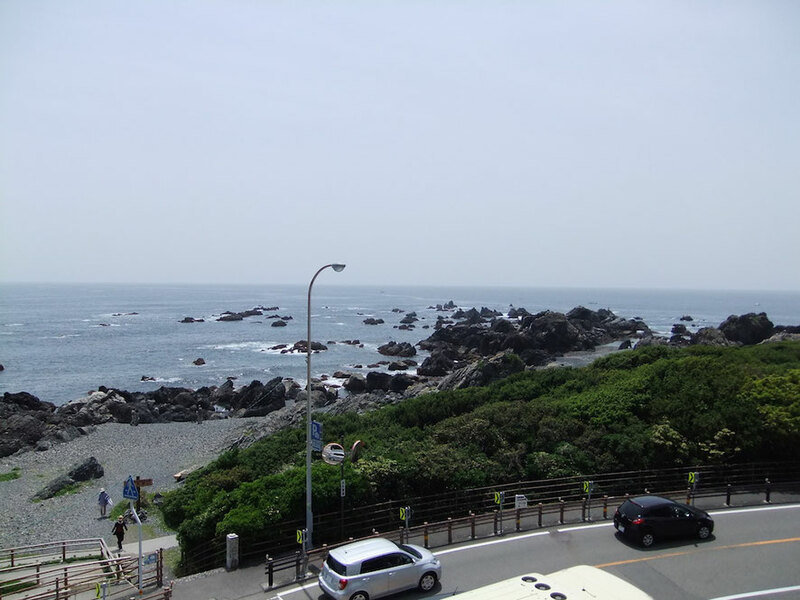 I went to MOA MUSEUM OF ART in Atami City, Kanagawa Prefecture, Japan. 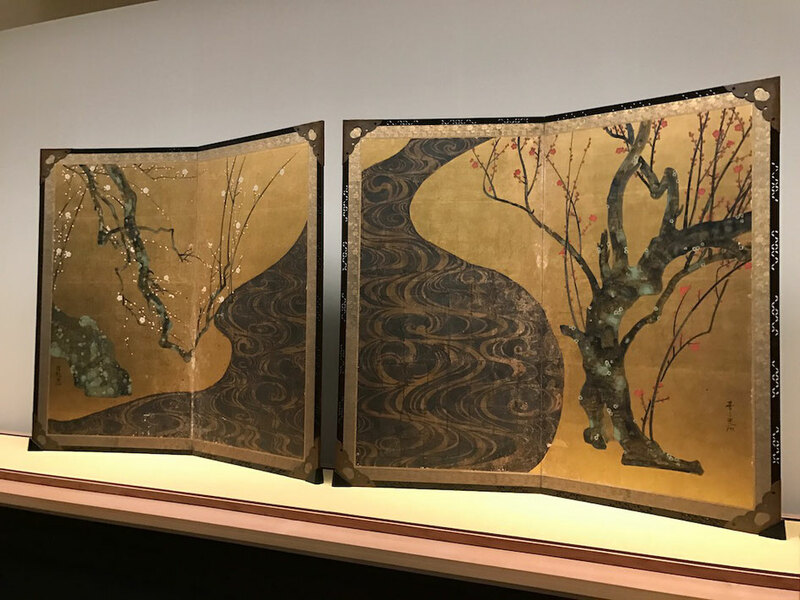 MOA Museum displays "RED AND WHITE PLUM BLOSSOMS", a national treasure of Japan painted by Korin Ogata, a painter of Edo Period, between February and the beginning of March. 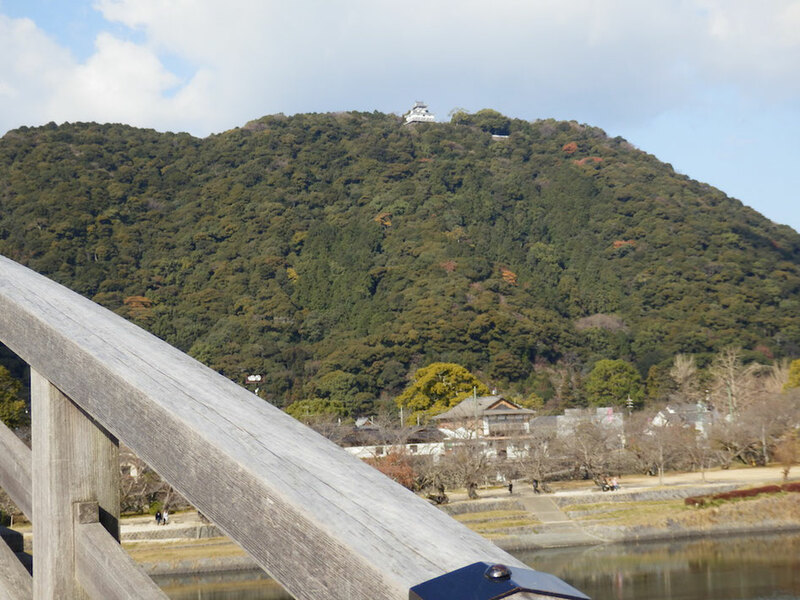 This picture is painted beautiful red and white plum blossoms and big river. 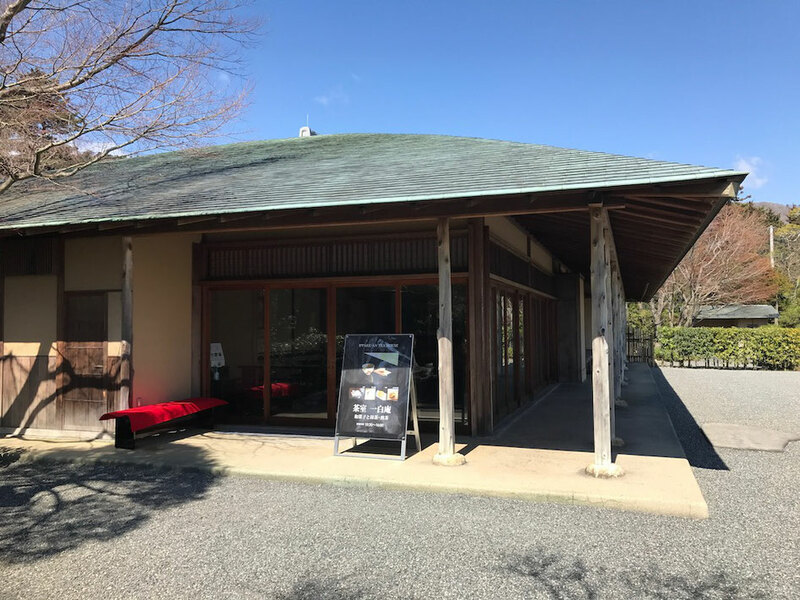 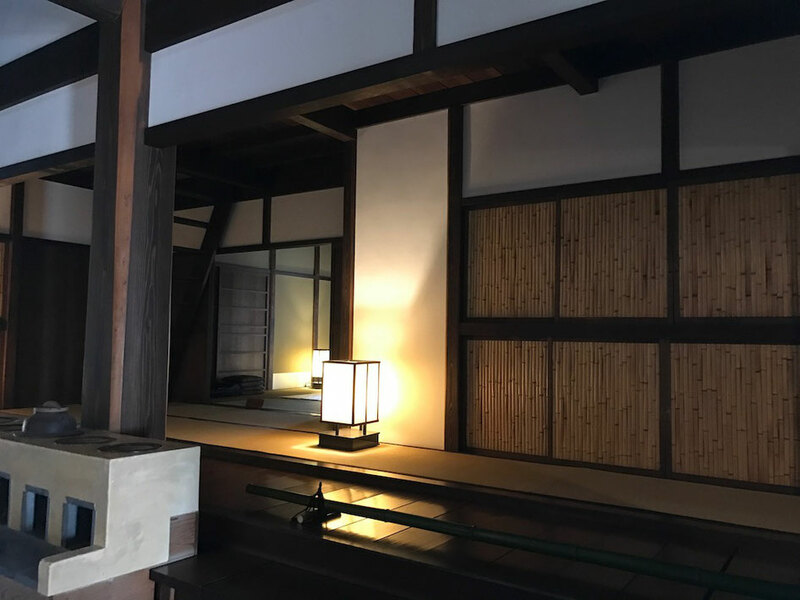 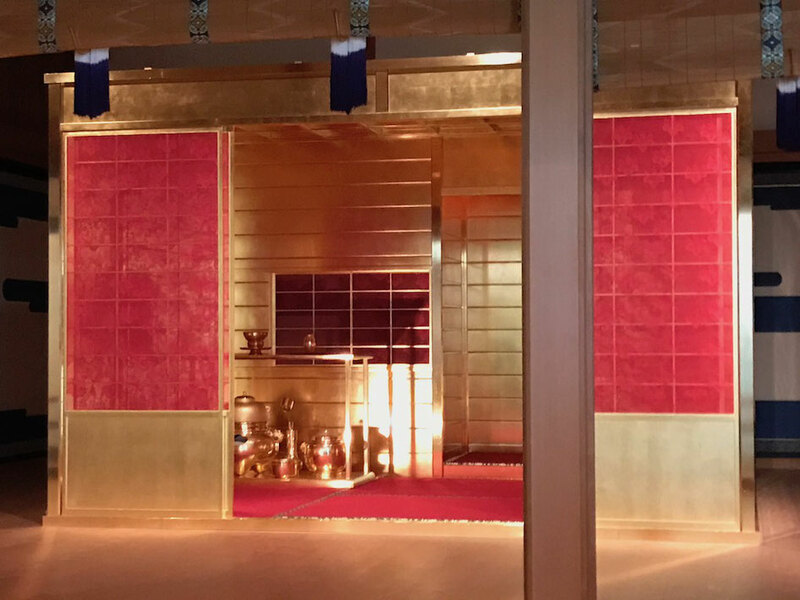 And MOA Museum has the replica of The Golden Tea Room which was made by Sen no Rikyu under the order from Toyotomi no Hideyoshi in Azuchi-Momoyama Period. 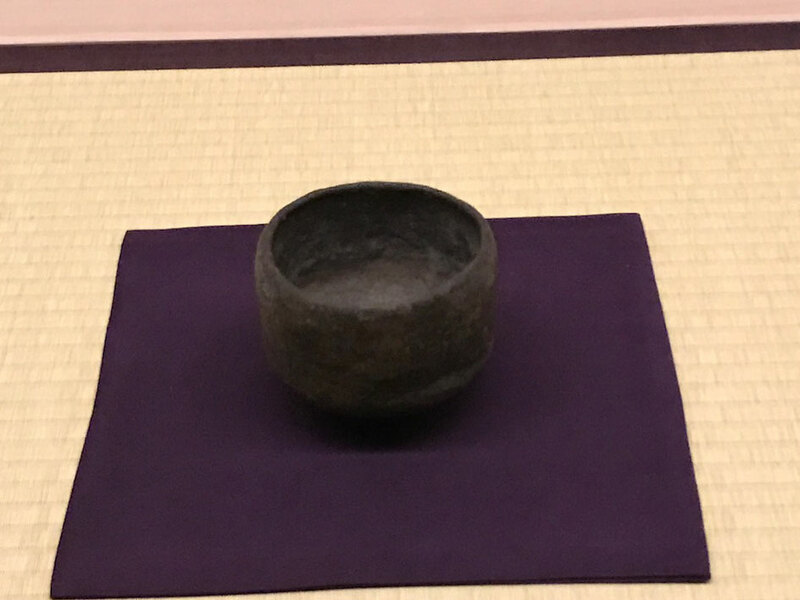 This is "Raku tea bowl named Ayame" which was made by Chojiro and used by Sen no Rikyu in Azuchi-Momoyama Period. 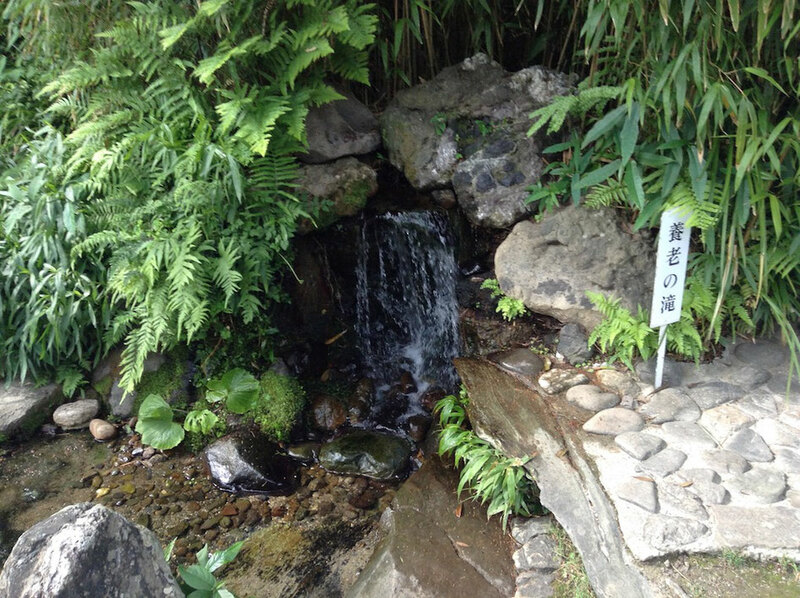 1F of MOA Museum has a garden "Tea Garden". 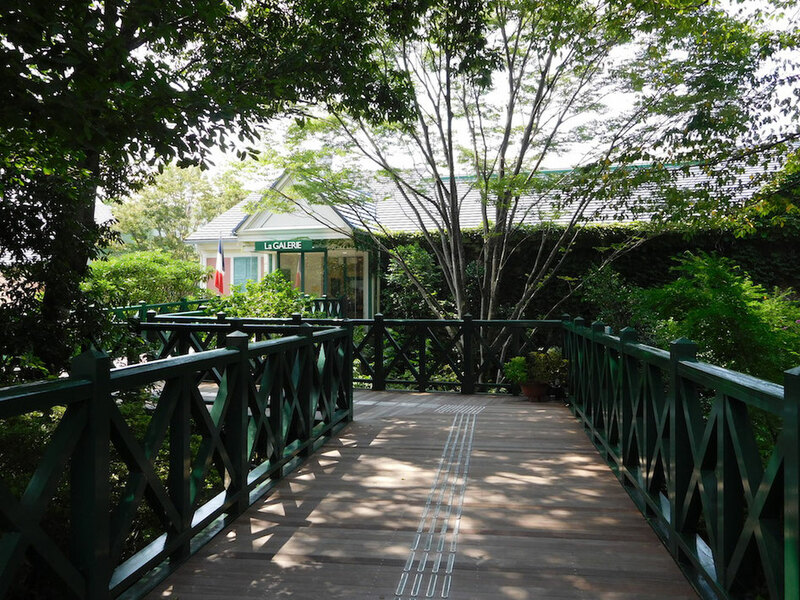 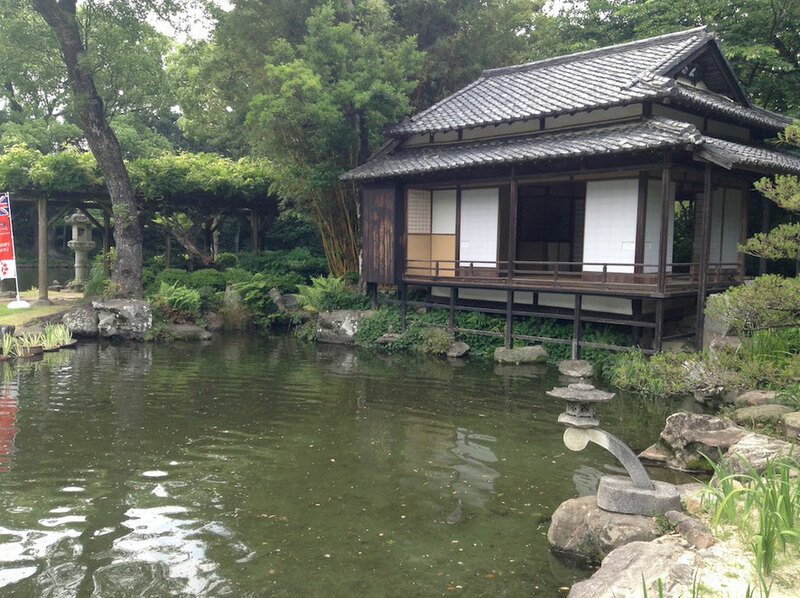 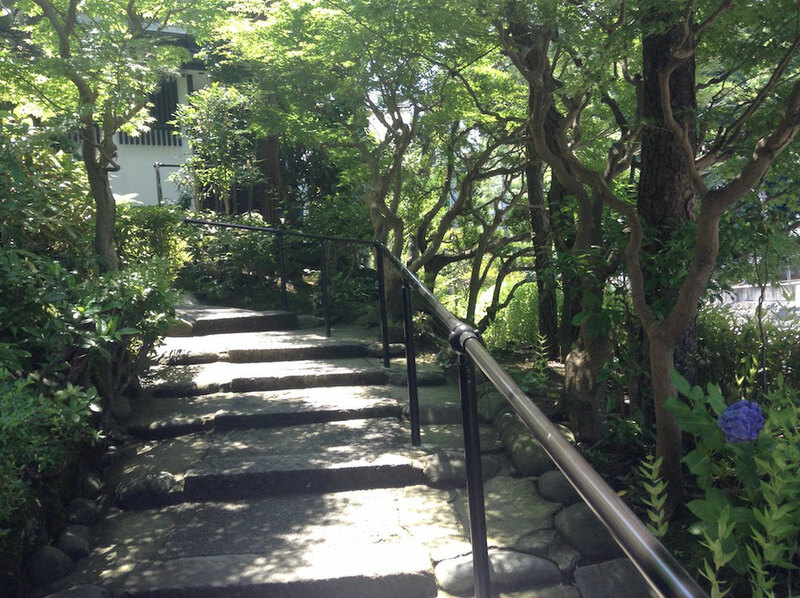 It has a residence modeled upon the art studio of Korin Ogata in his later life. 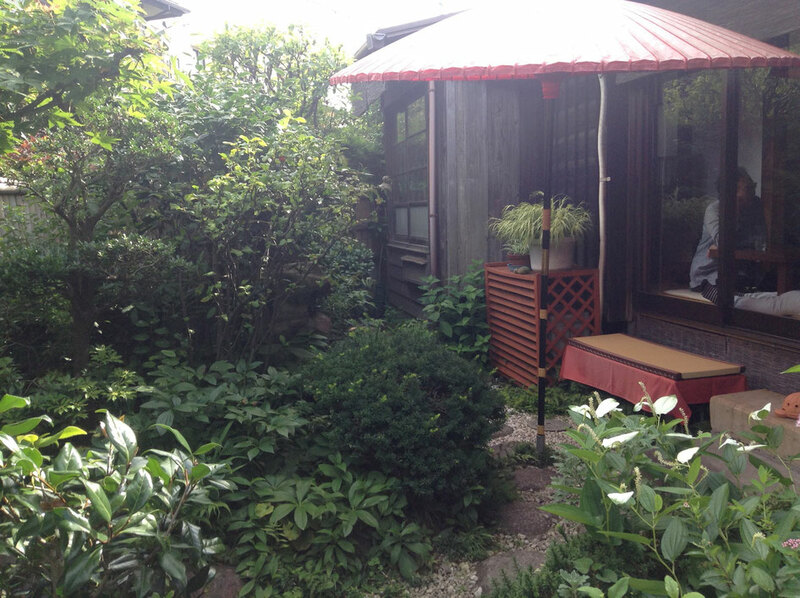 Korin Ogata made "RED AND WHITE PLUM BLOSSOMS" and "WIND GOD AND THUNDER GOD SCREENS" in this art studio. 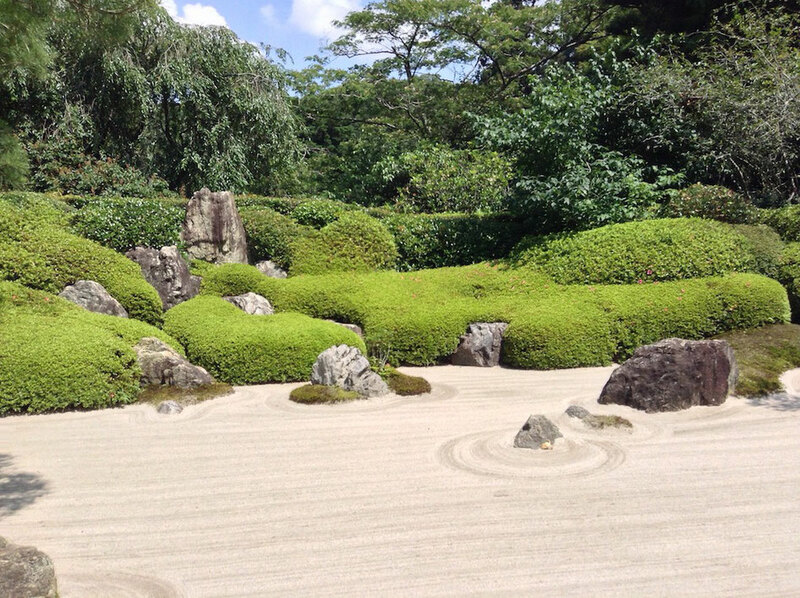 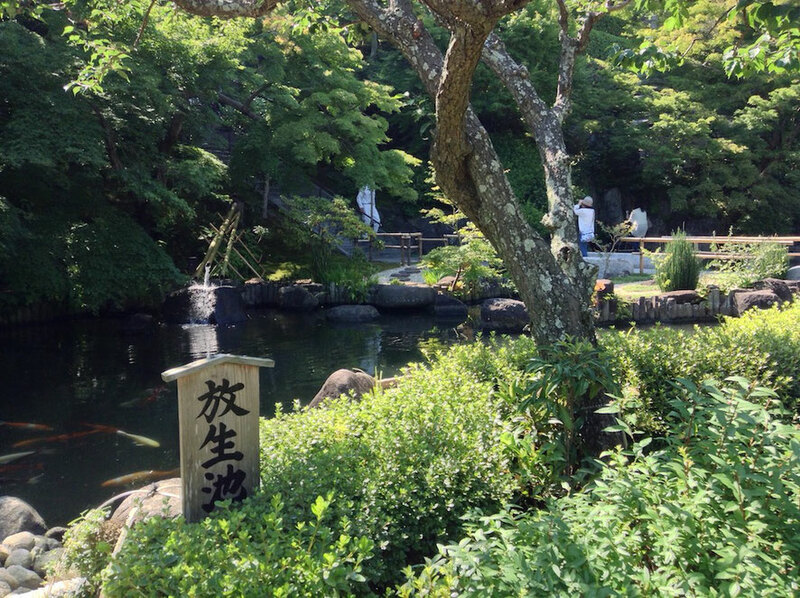 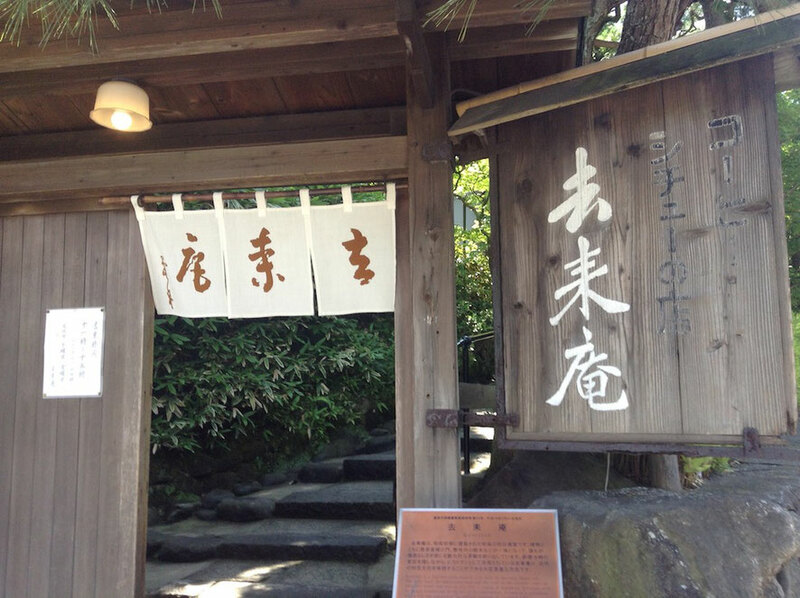 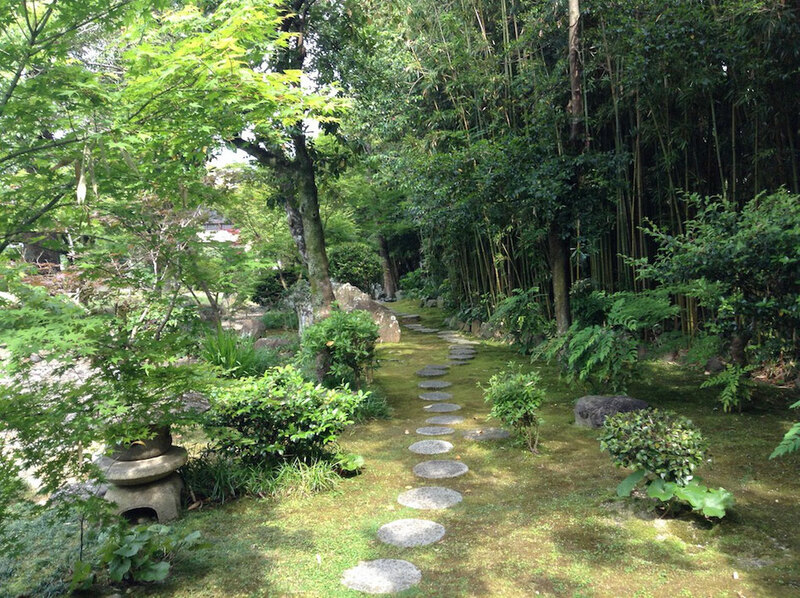 There is a tea house "Ippaku-an" near it. 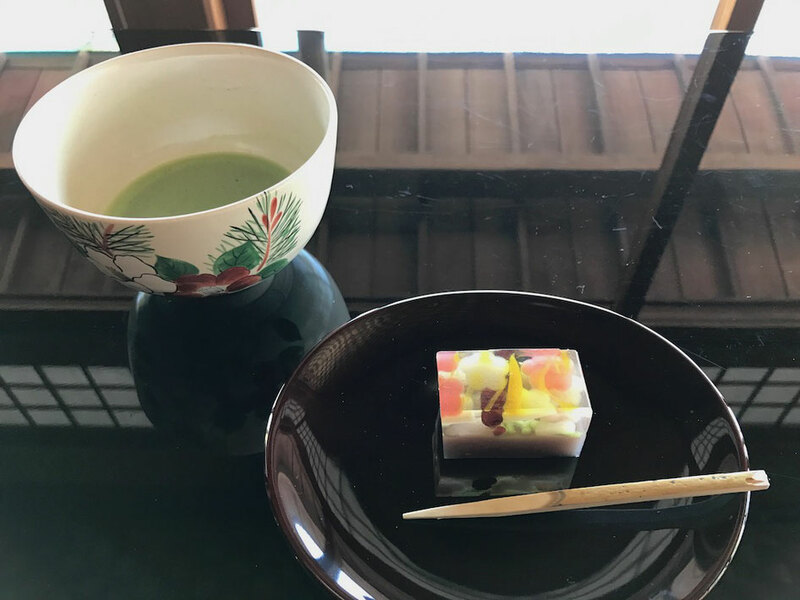 This is Matcha tea and Japanese-style sweets. 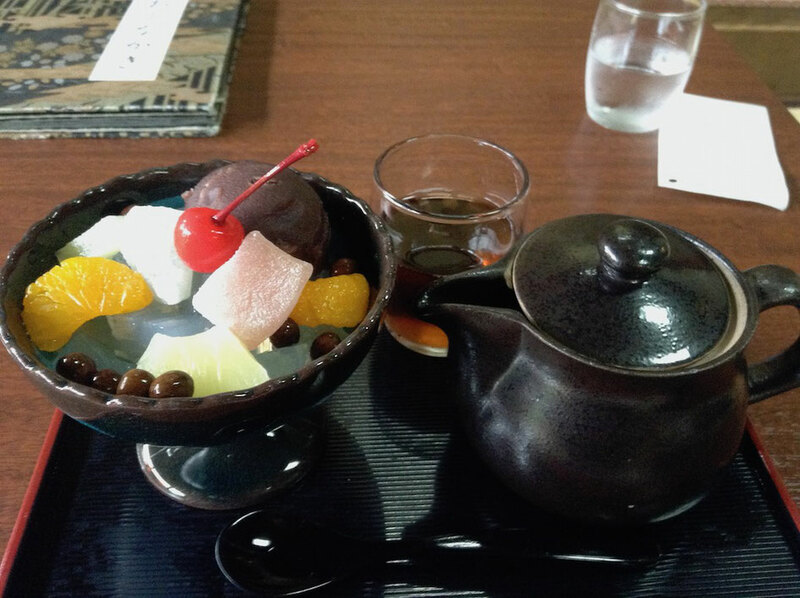 This sweets is "RED AND WHITE PLUM BLOSSOMS YOKAN" that used "RED AND WHITE PLUM BLOSSOMS" as a subject. 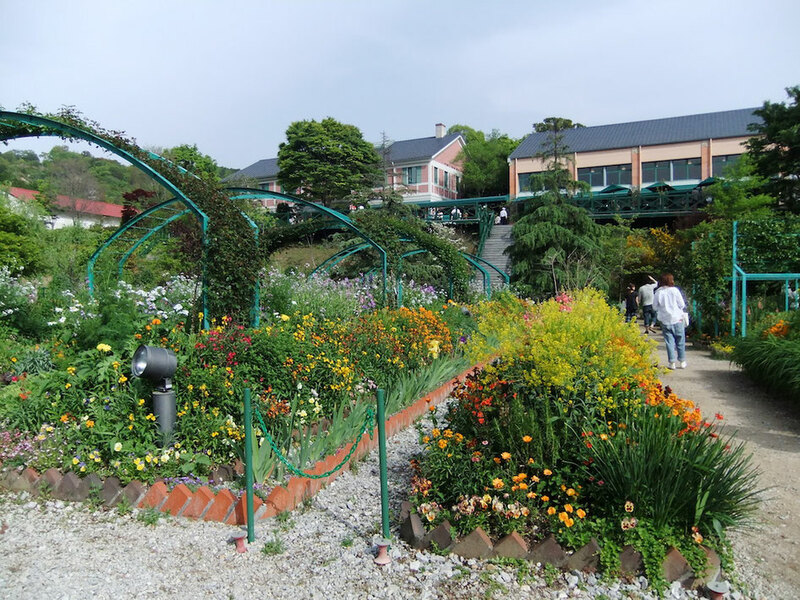 This is the full view of MOA MUSEUM OF ART. 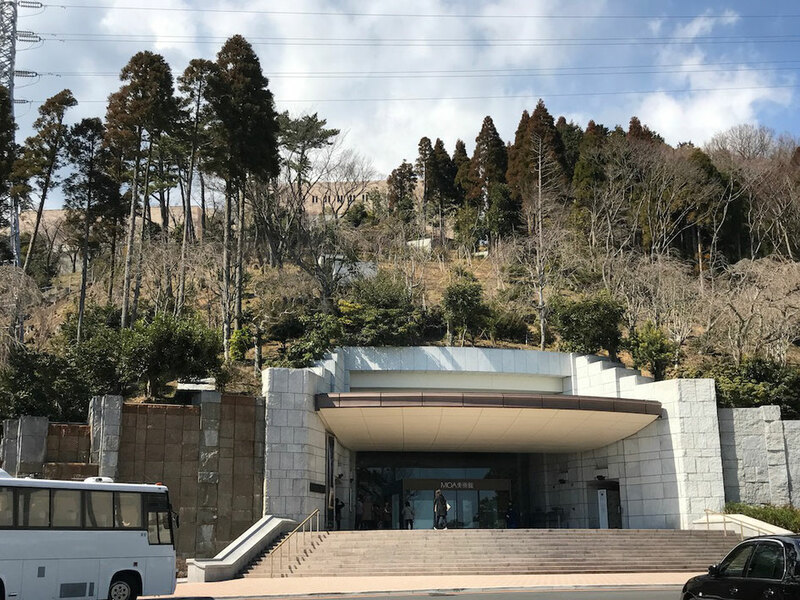 Museum blends into the mountain. 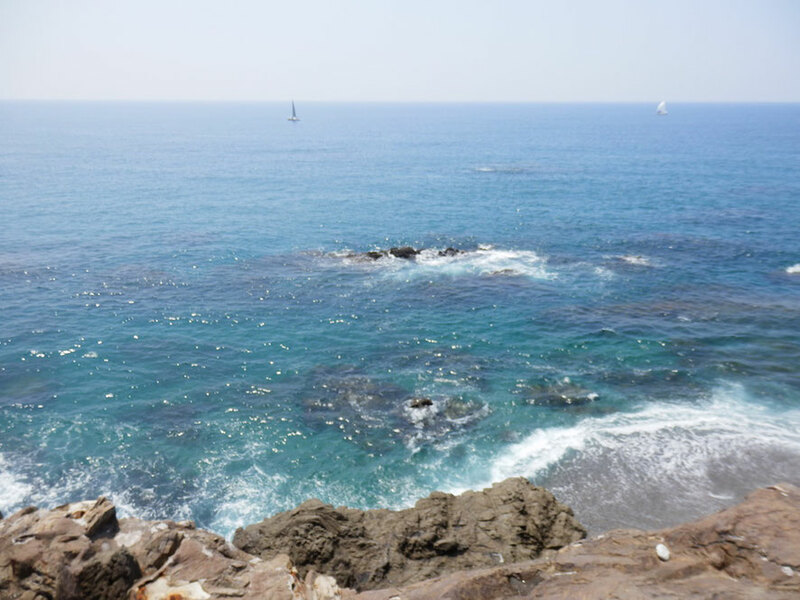 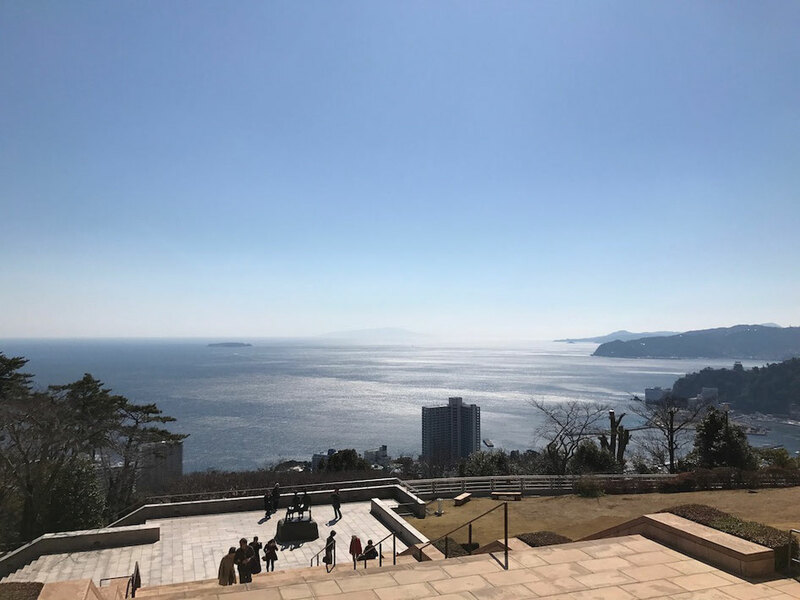 It's the view of Atami's sea from MOA MUSEUM OF ART and it's beautiful. 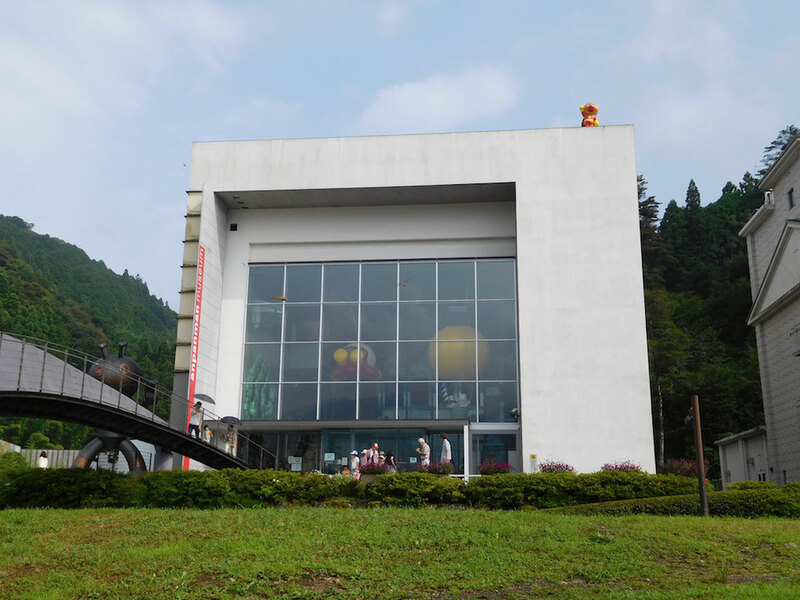 Let's go to this museum! 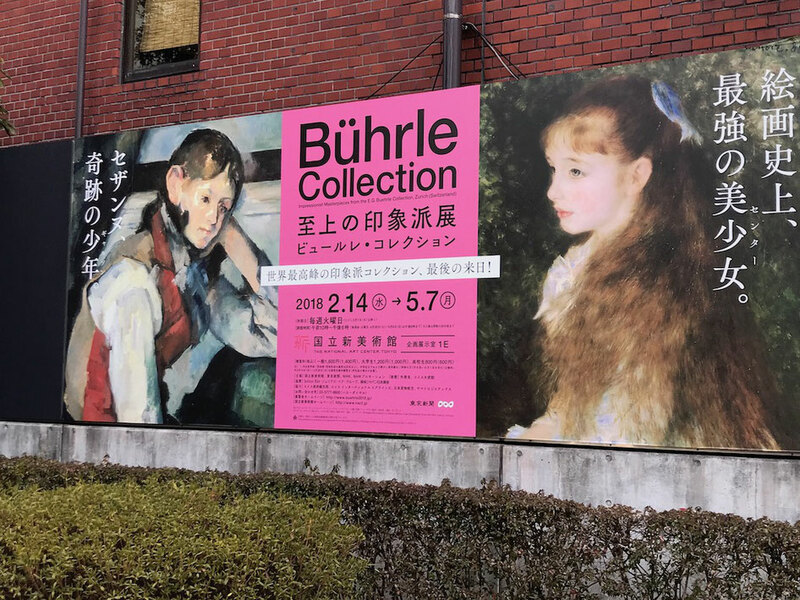 I appreciated masterpieces of "Bührle Collection" exhibition at The National Art Center, Tokyo. 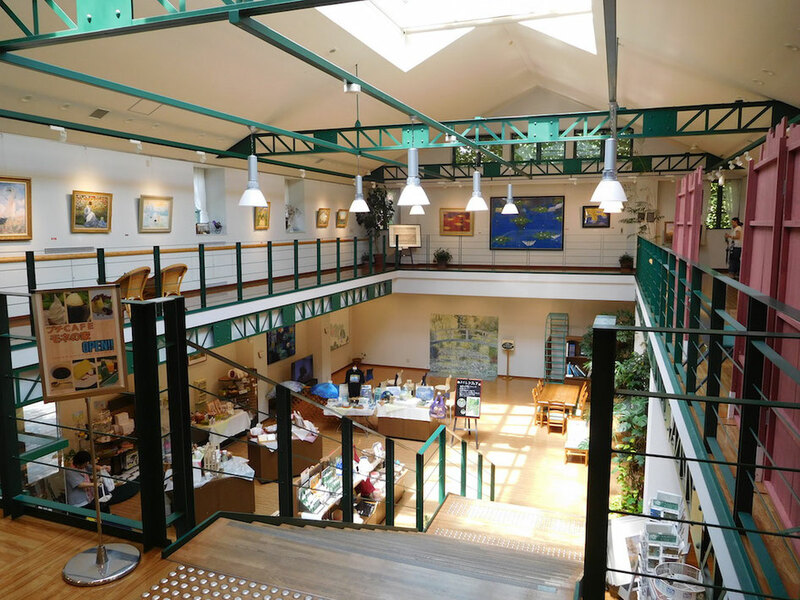 Bührle Collection is an art museum in Zurich, Switzerland, and it has many masterpieces of impressionist art. 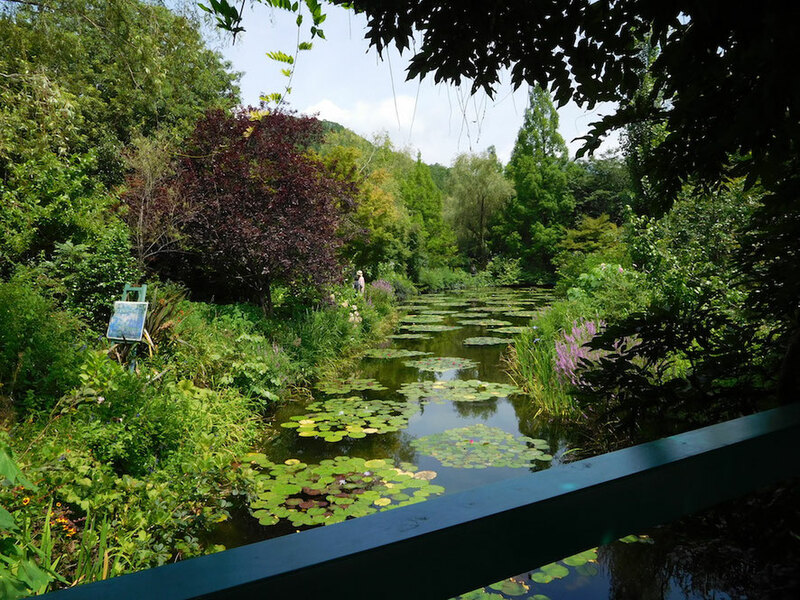 This exhibition has many masterpieces painted by Delacroix, Degas, Manet, Monet, Renoir, van Gogh, Gauguin, Cézanne, Matisse and Picasso. 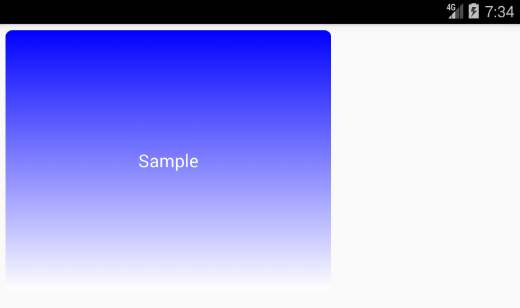 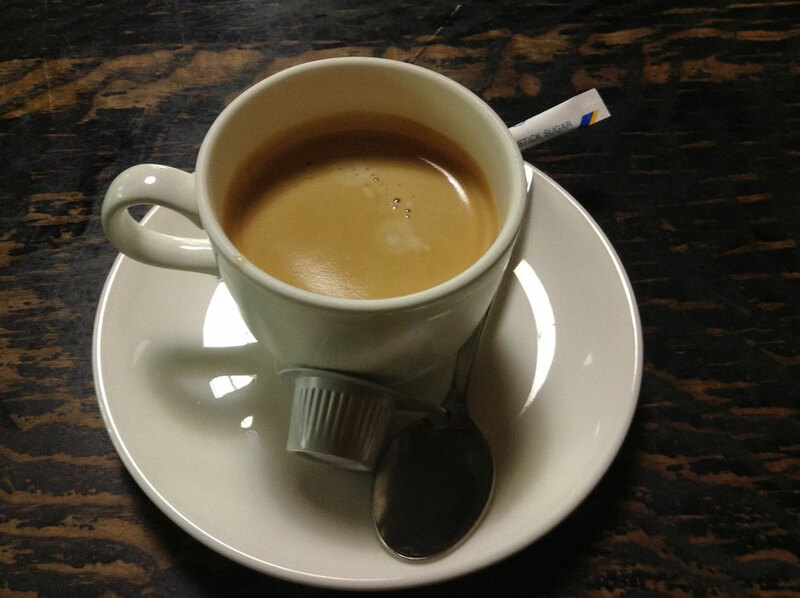 Early impressionist arts are realistic and Post impressionist arts are abstract. 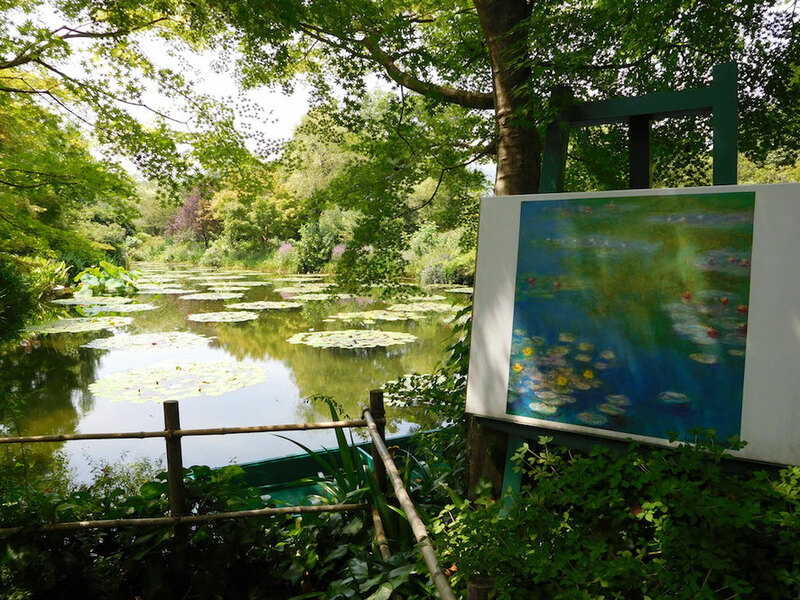 "Portrait d'Irène Cahen d'Anvers" painted by Pierre-Auguste Renoir is the representative realistic pictures. 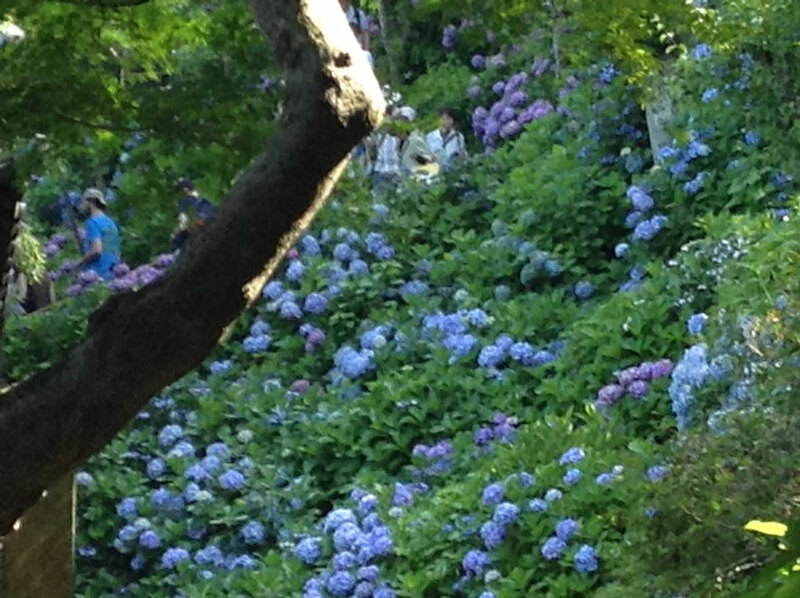 And there are many Pablo Picasso's abstract pictures. 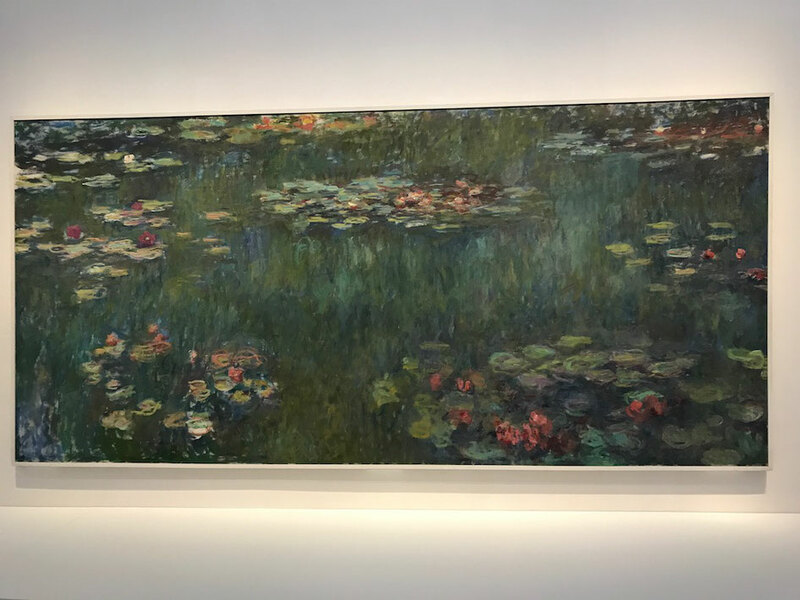 This picture is "Water Lilies" painted by Claude Monet. 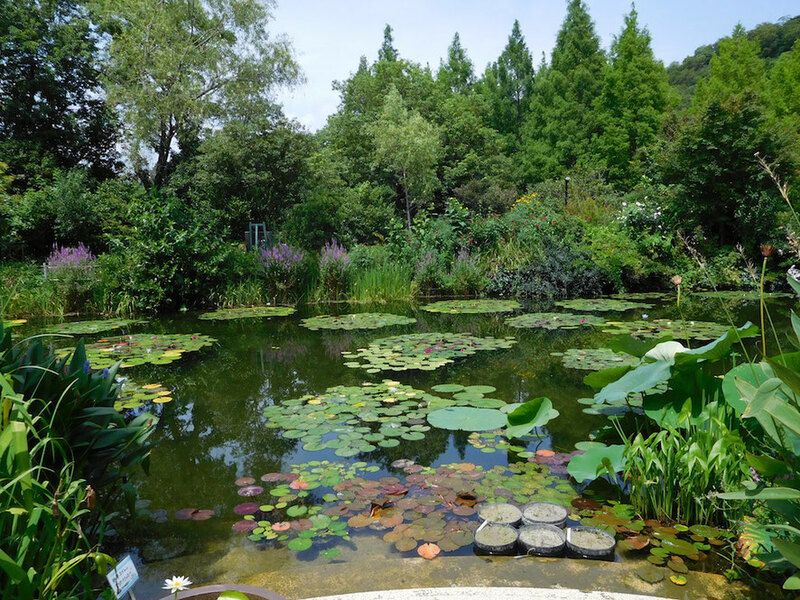 It is the biggest picture of "Water Lilies" and its height is 2m and its width is 4m. 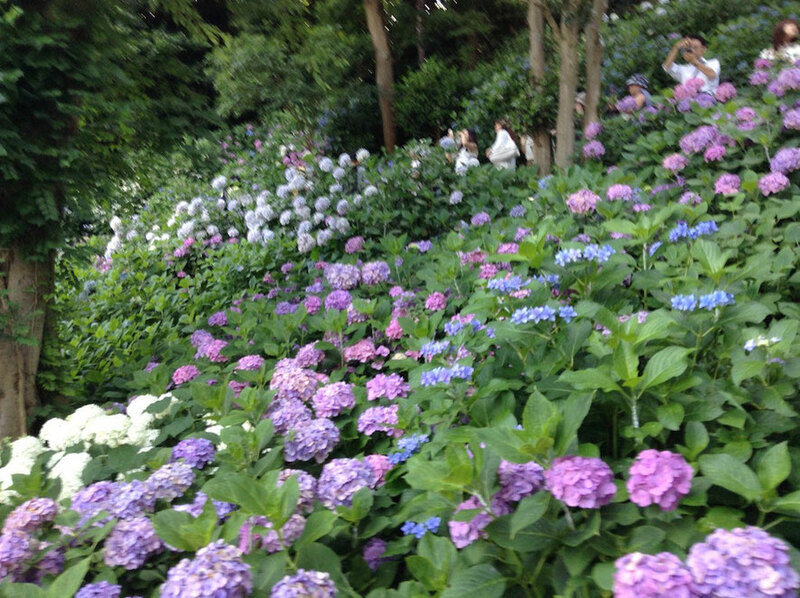 By the way, it is allowed to take photos. 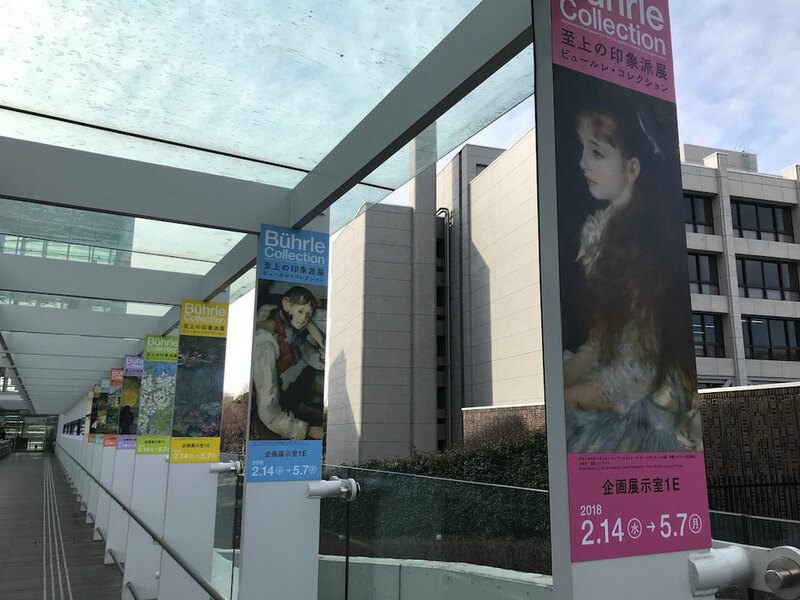 "Bührle Collection" exhibition is held in The National Art Center, Tokyo until May 7, 2018. 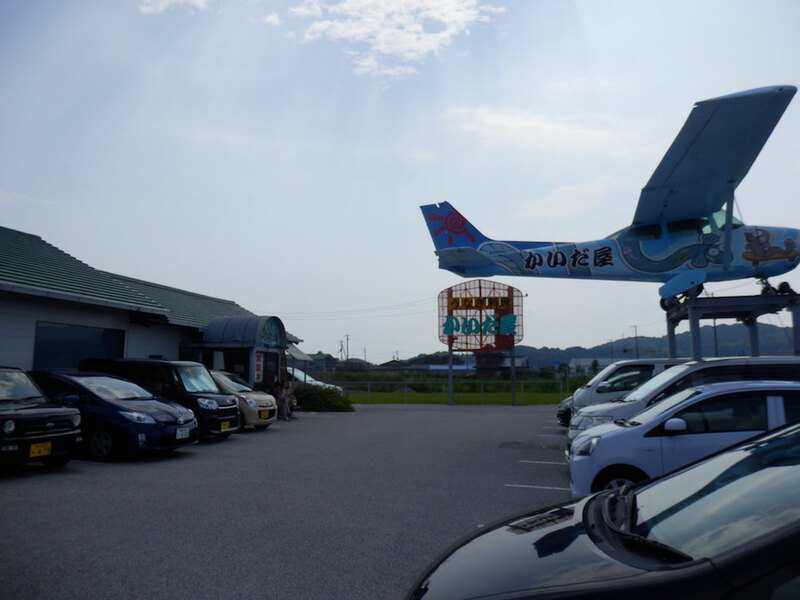 We had a nice rest in Iwakuni City, Yamaguchi Prefecture, Japan. 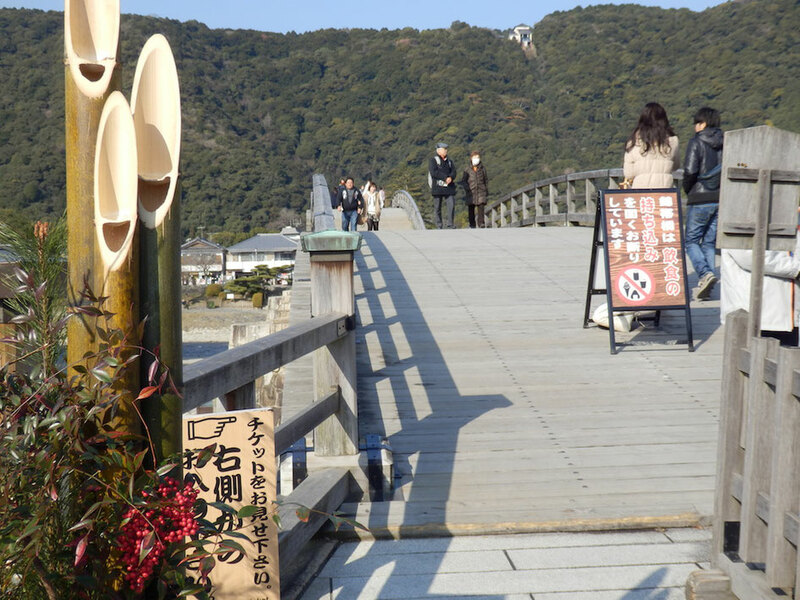 A symbol of Iwakuni City is Kintaikyo-Bridge. 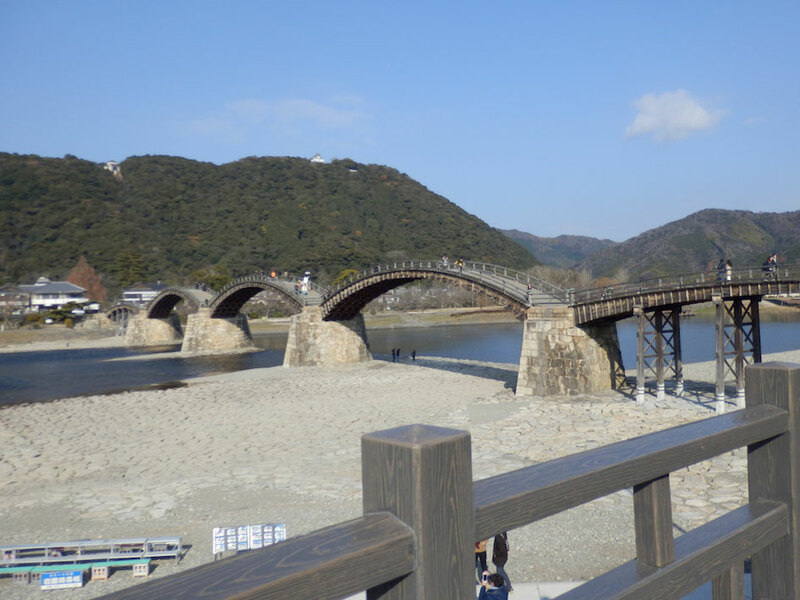 Kintaikyo-Bridge is a historical arch brdige and spans the Nishiki River near Iwakuni Castle. 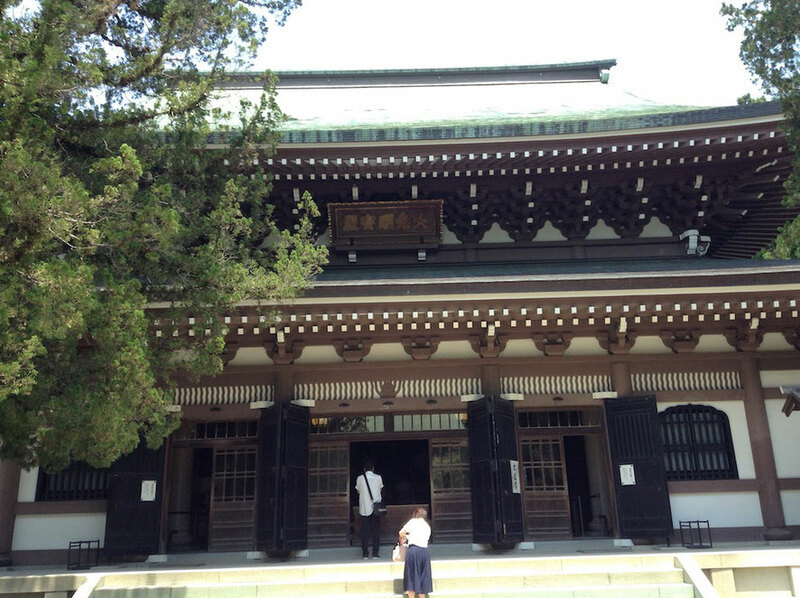 It was built in 1673. 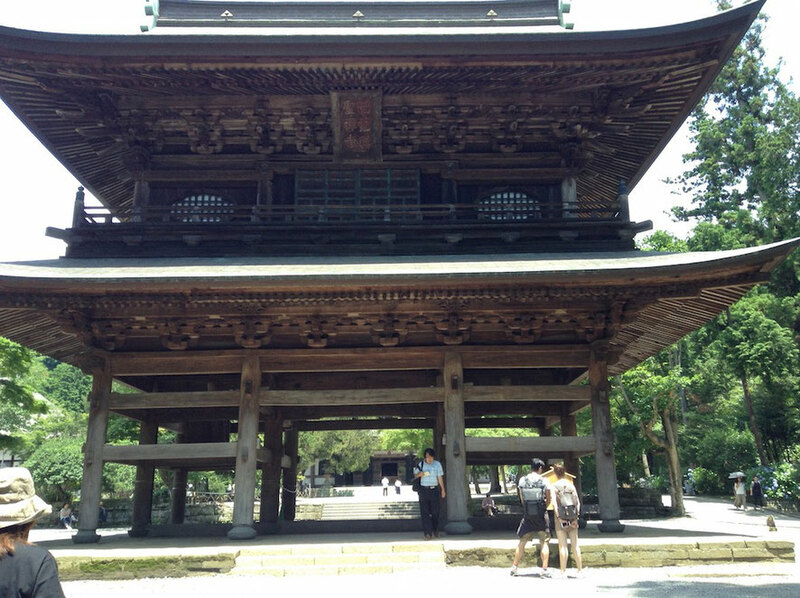 It was broken by floodwaters three times and it was rebuild by original method each time. 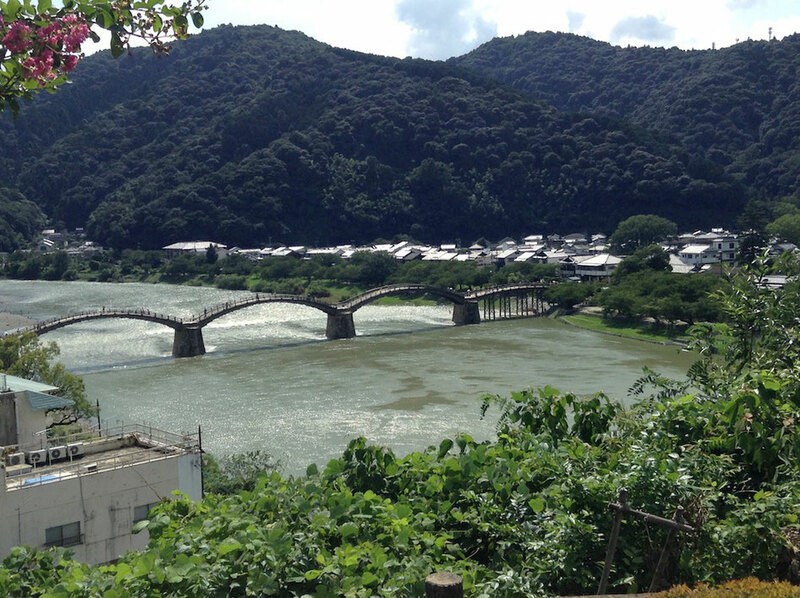 It was fine today and the view from Kintaikyo-Bridge were very well. 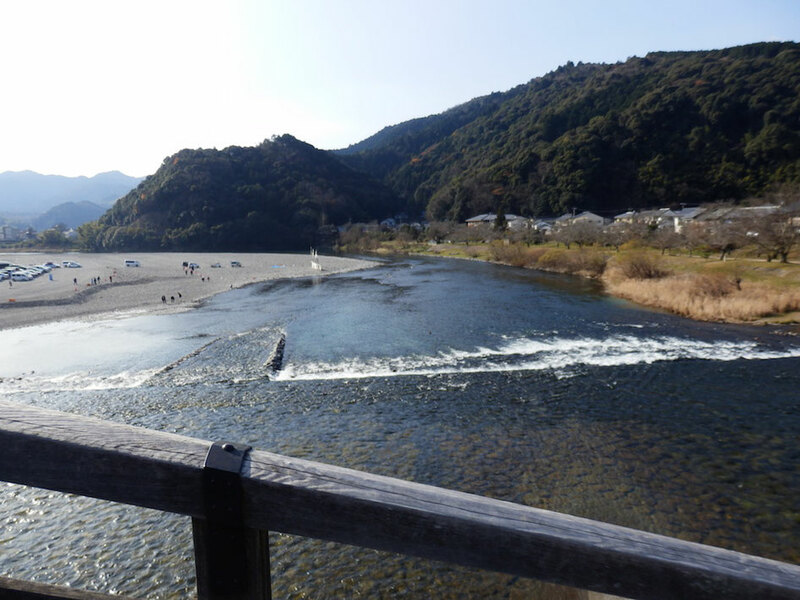 Nishiki River's water is very clean. 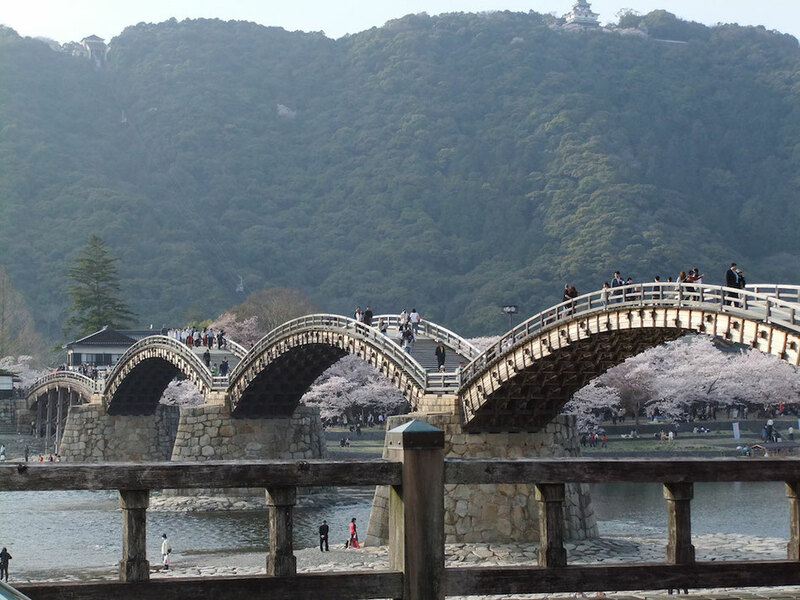 There are many Cherry Blossoms around Kintaikyo-Bridge and they are full in bloom between Late March and the beginning of April. 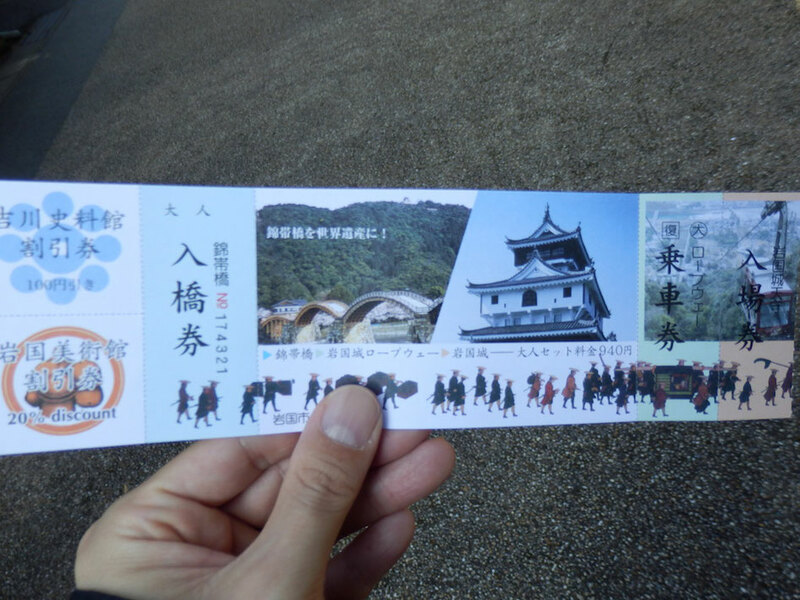 I went to Iwakuni Castle after Kintaikyo-Bridge. 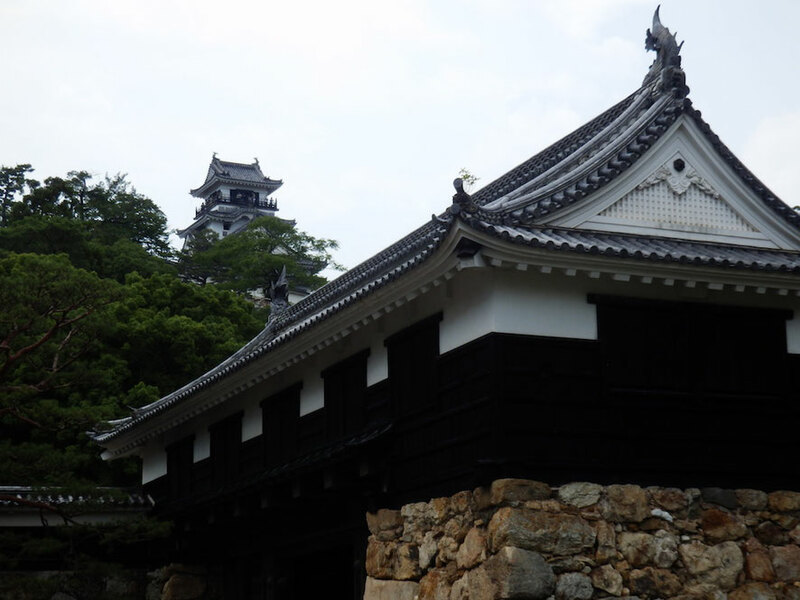 Iwakuni Castle is on the top of Yokoyama Mountain and it is also called "Yokoyama-Castle". 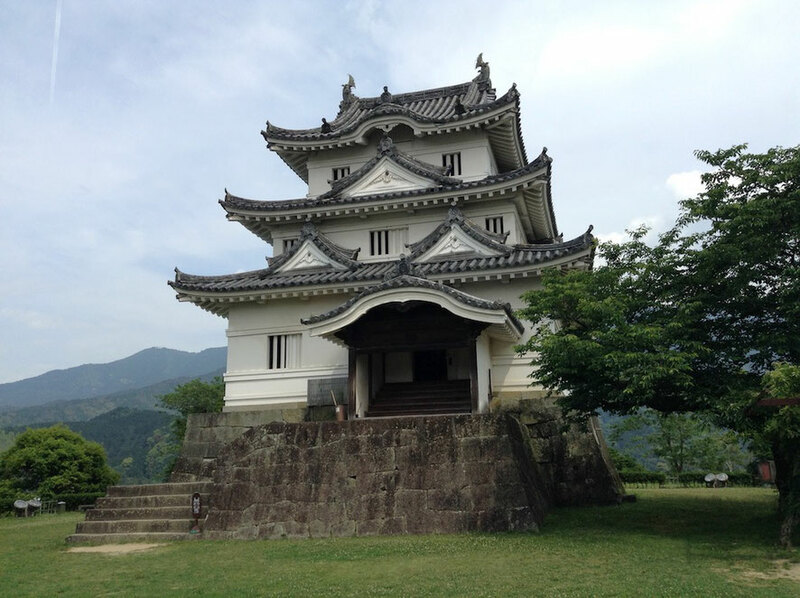 Iwakuni Castle was built in 1608, but it was dismantled as per the Ikkoku-Ichijyo(One Castle Per Province) order established by the Tokugawa Shogunate in 1615. 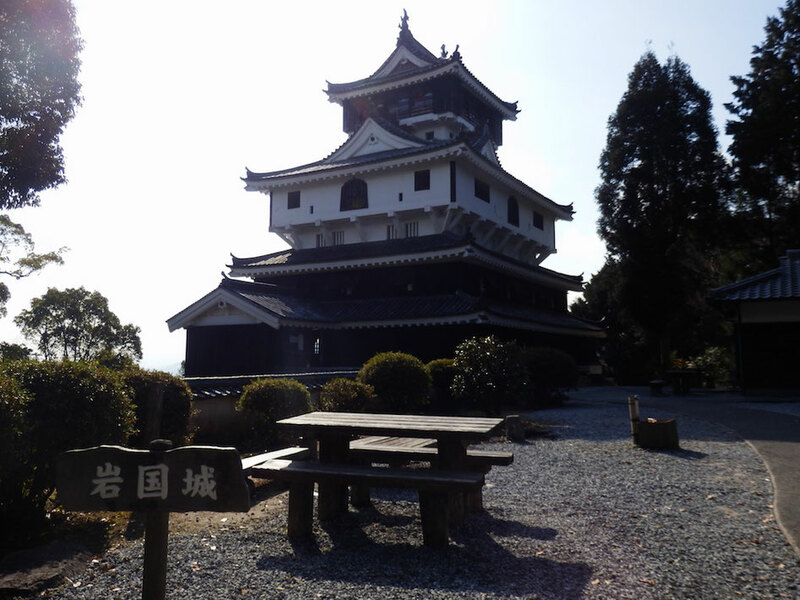 Iwakuni Castle Castle Tower was rebuild in 1962. 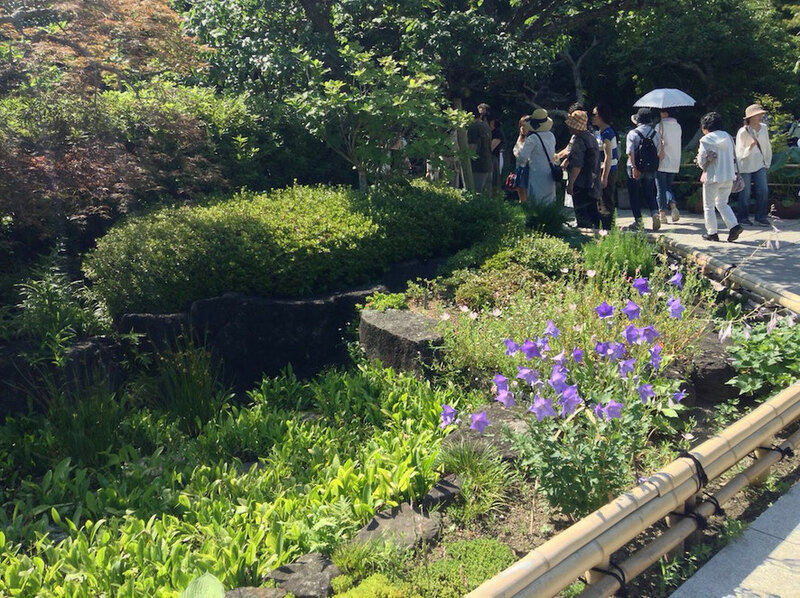 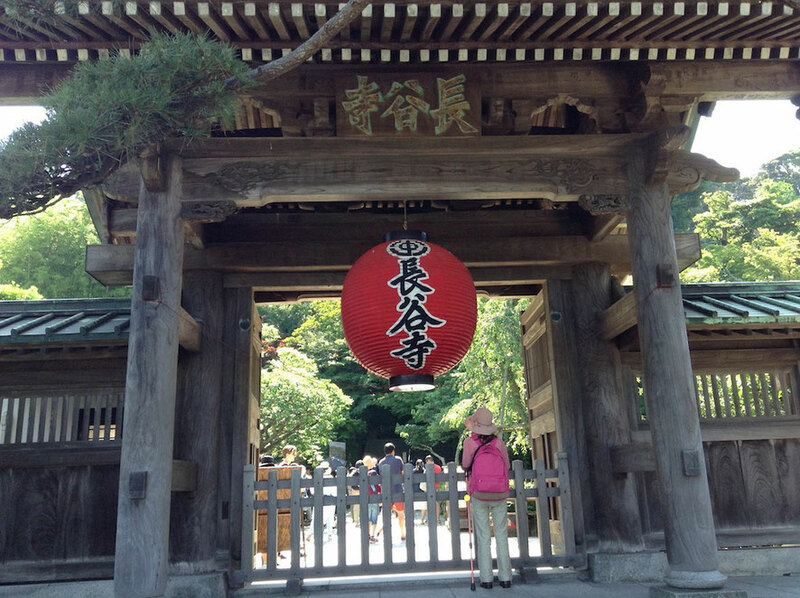 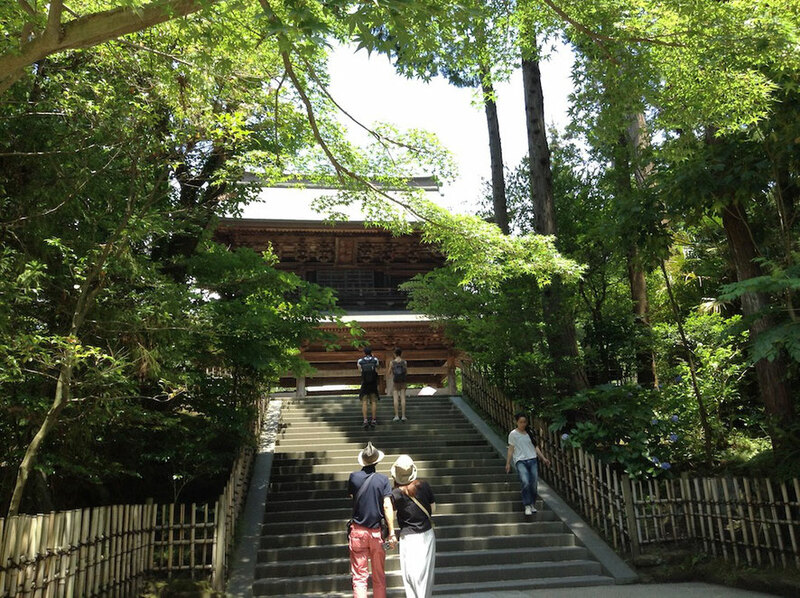 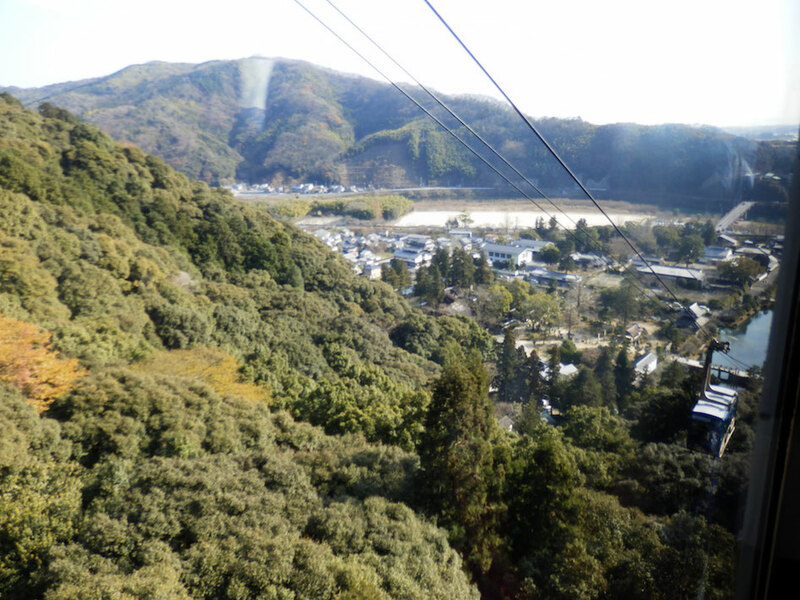 There is the rope way for visitors to the top of Yokoyama Mountain. 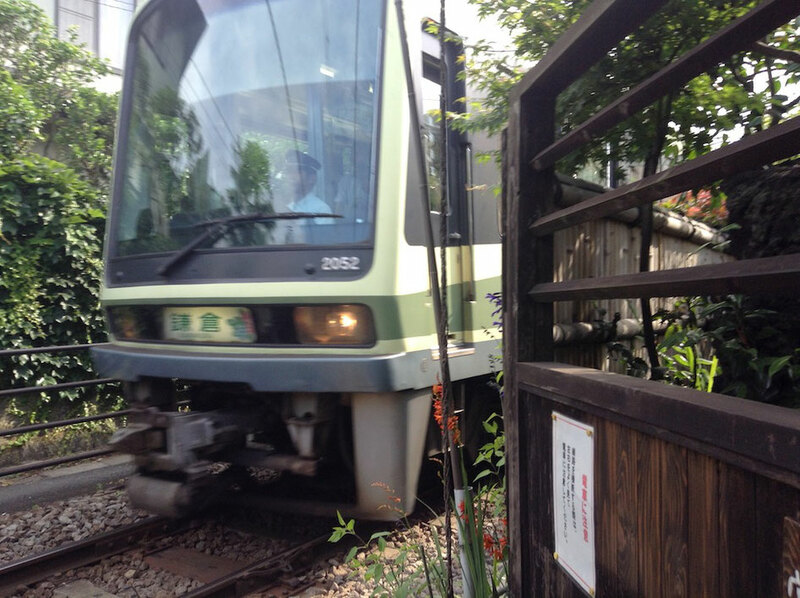 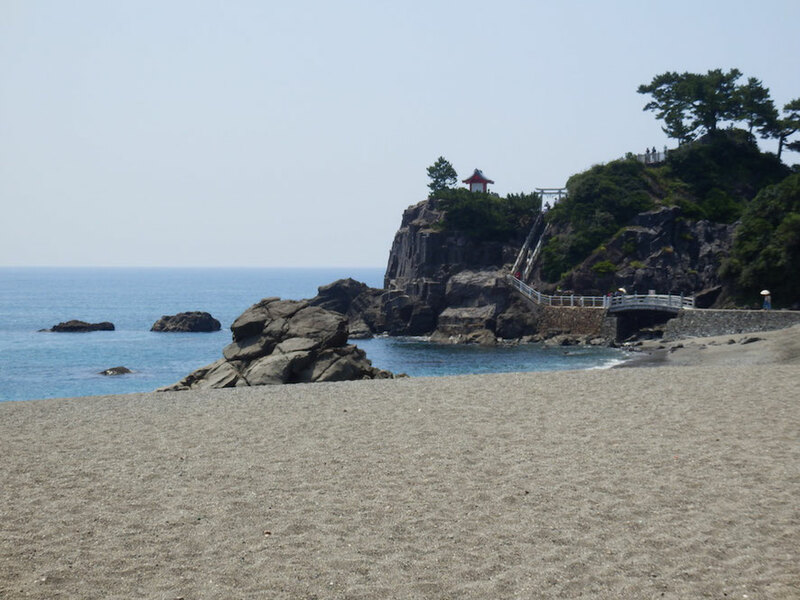 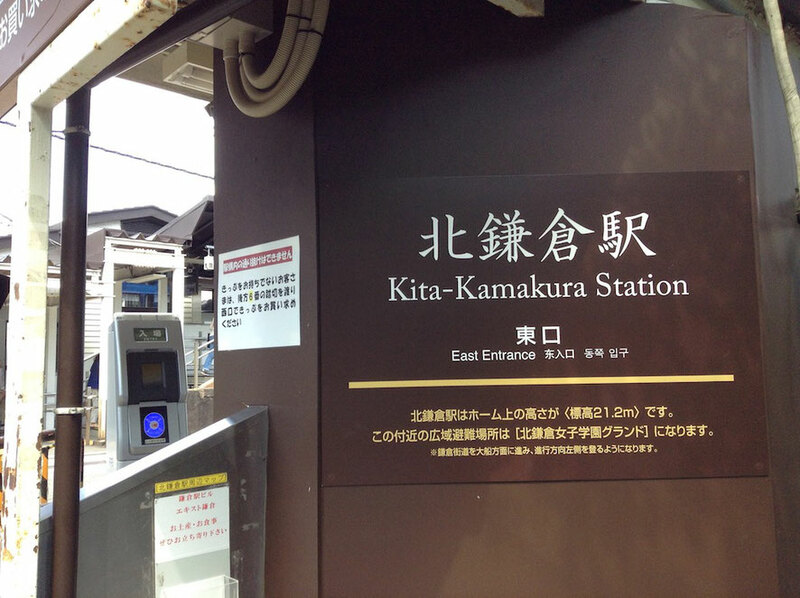 It is 5 minutes from the rope way station to Iwakuni Castle. 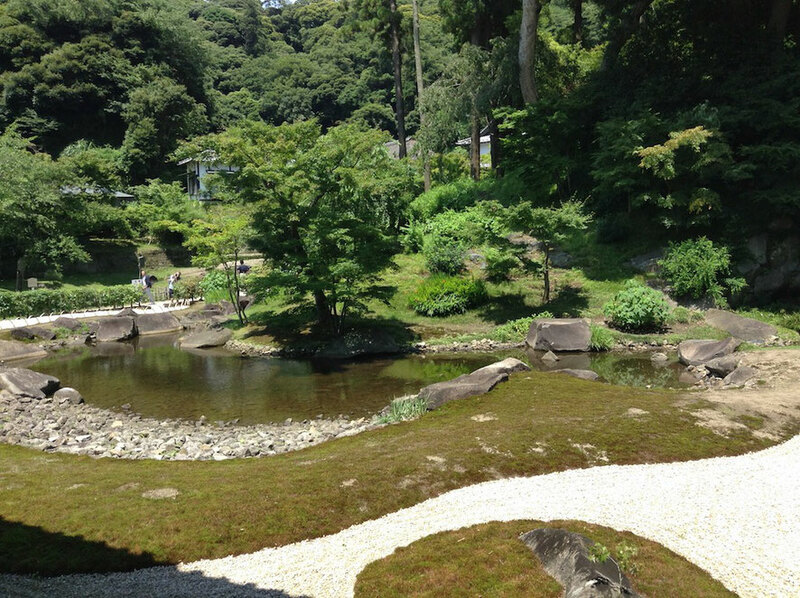 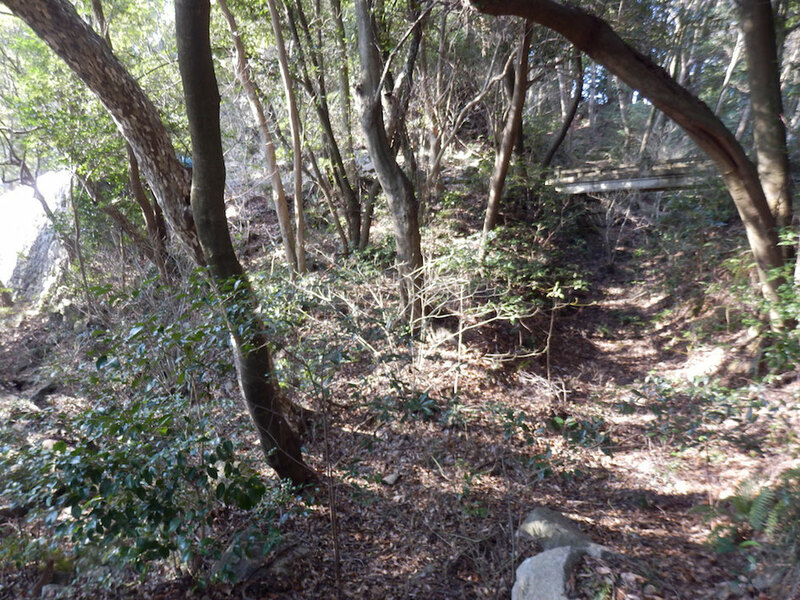 There is the dry moat around Iwakuni Castle. 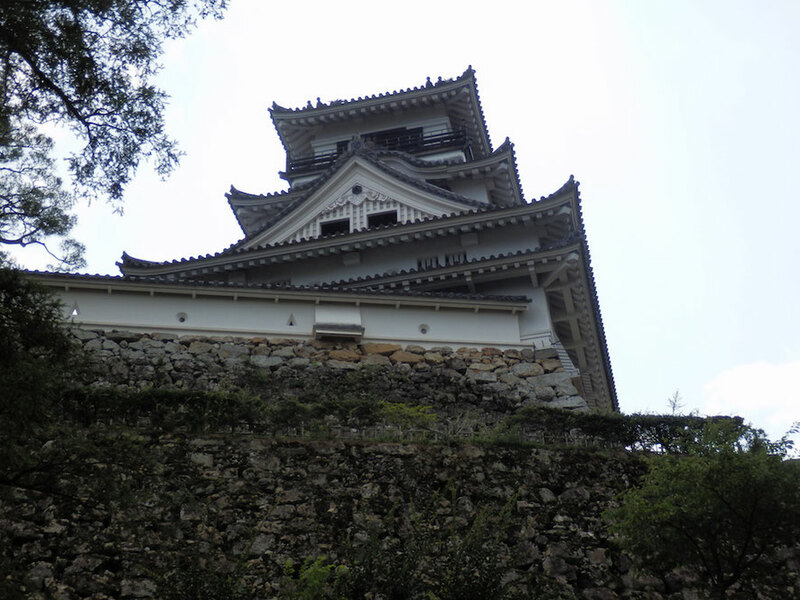 It is Iwakuni Castle Castle Tower. 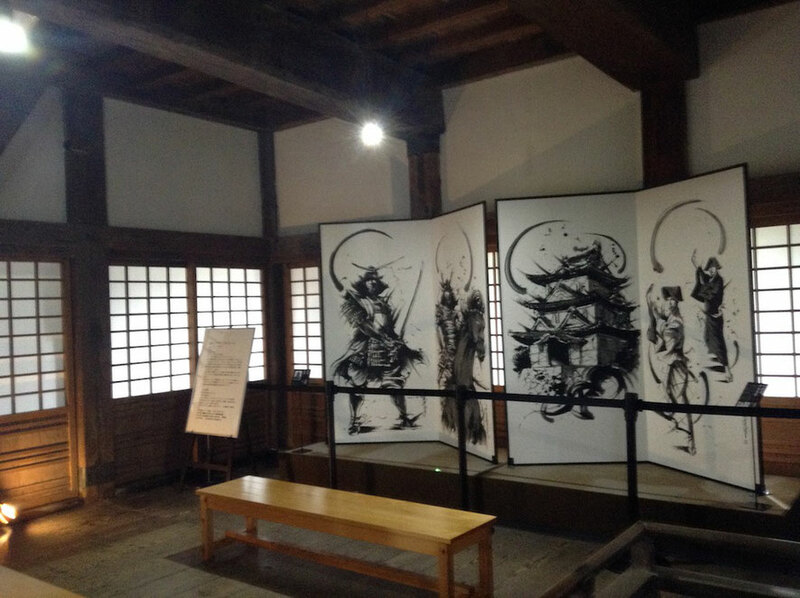 The inner part of Castle Tower is museum and old swords are displayed. 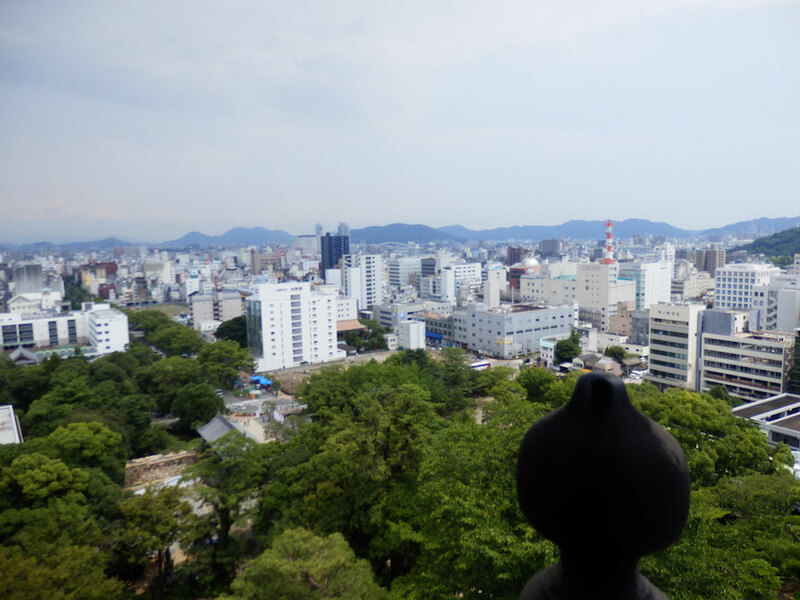 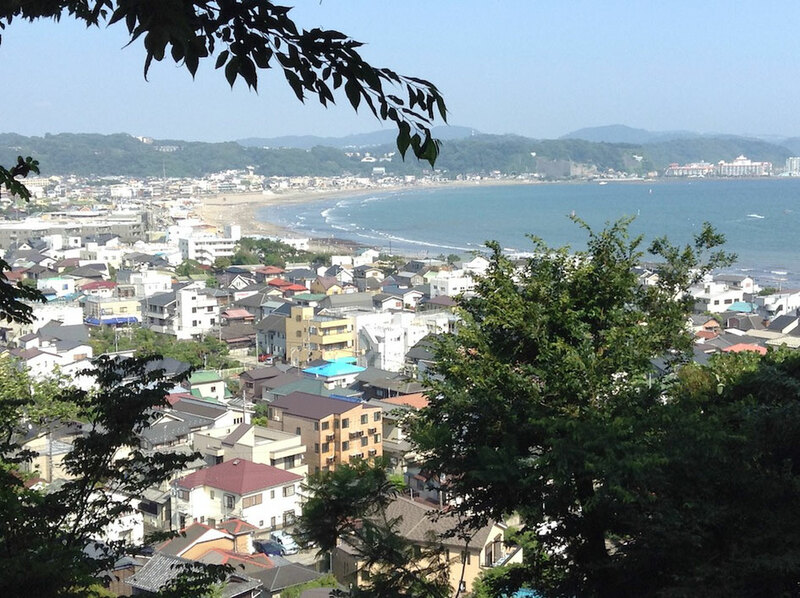 The view of Iwakuni City from the top of Castle Tower is beautiful. 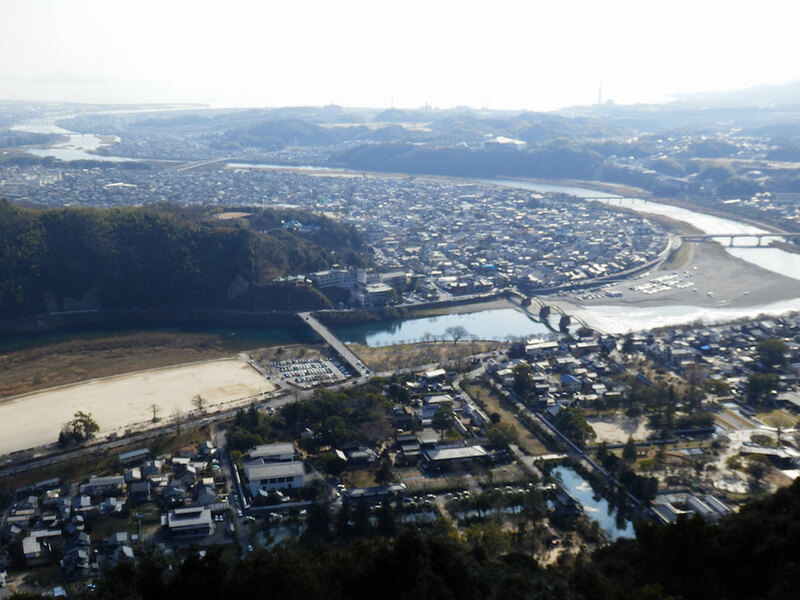 It teaches me that Iwakuni City was made along Nishiki River. 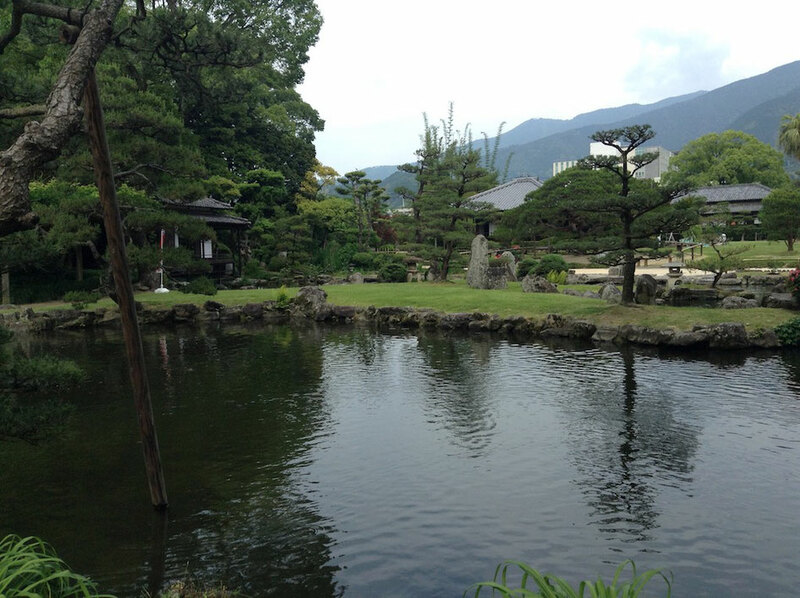 The foot of Yokoyama Mountain was the residence of Iwakuni Domain in the edo period and it is Kikkou Park now. 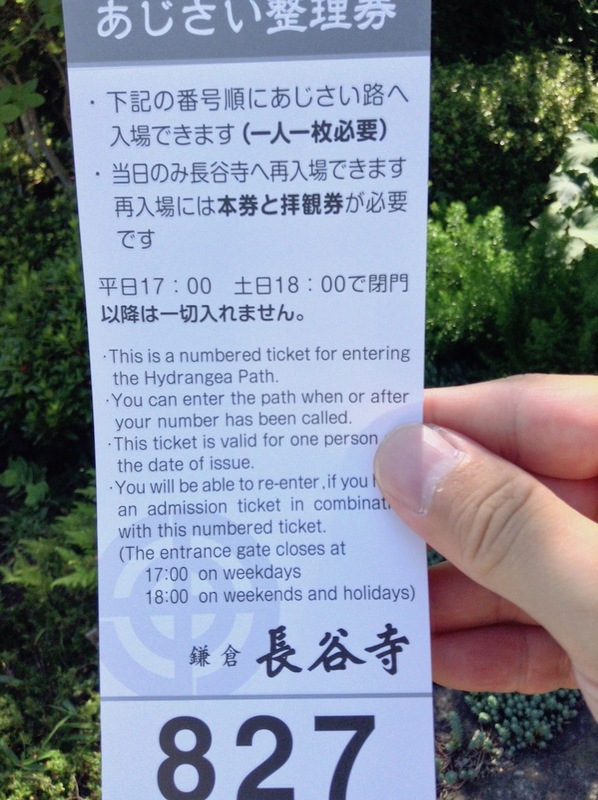 The admission ticket of Kintaikyo-Bridge, the rope way and Iwakuni Castle is sold at the entrance of Kintaikyo-Bridge. 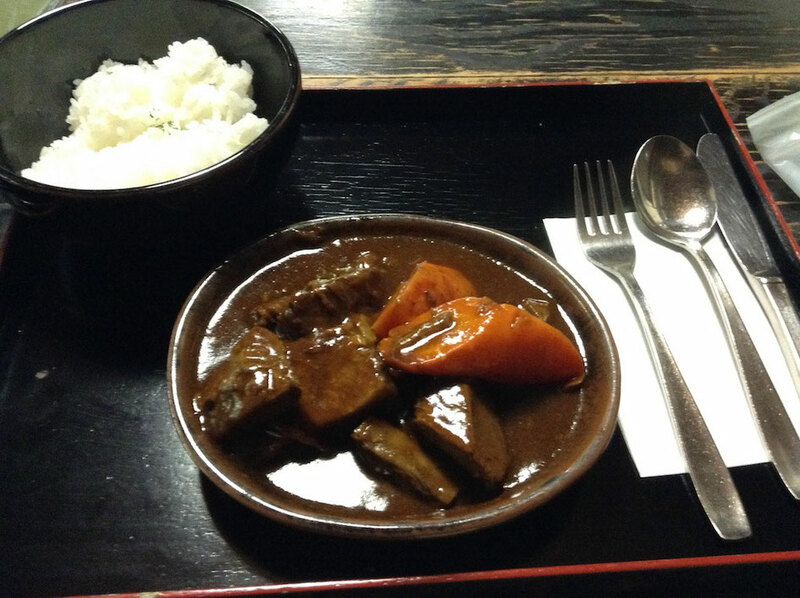 It is 940 yen(about 8 US $). 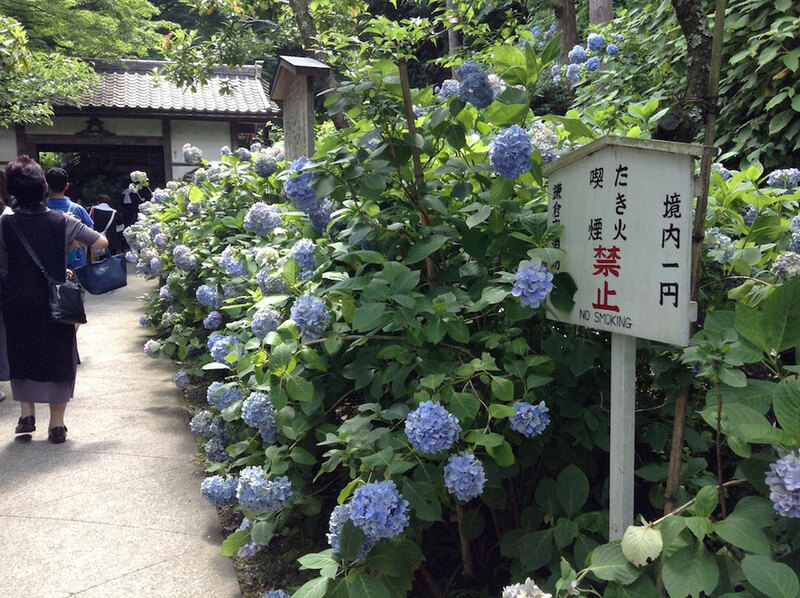 I recommend "Itsutsubashi-no-sato", a hot spring in Iwakuni Kokusai Kanko Hotel near Kintaikyo-Bridge. 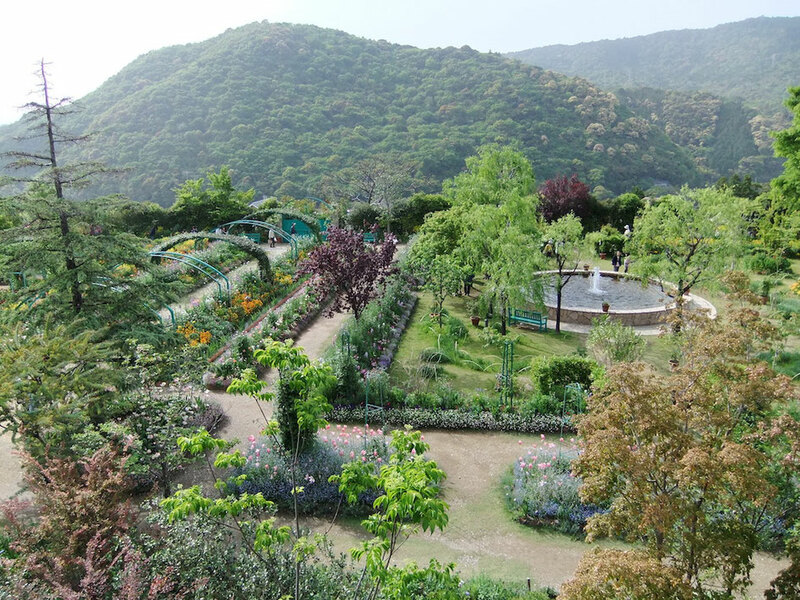 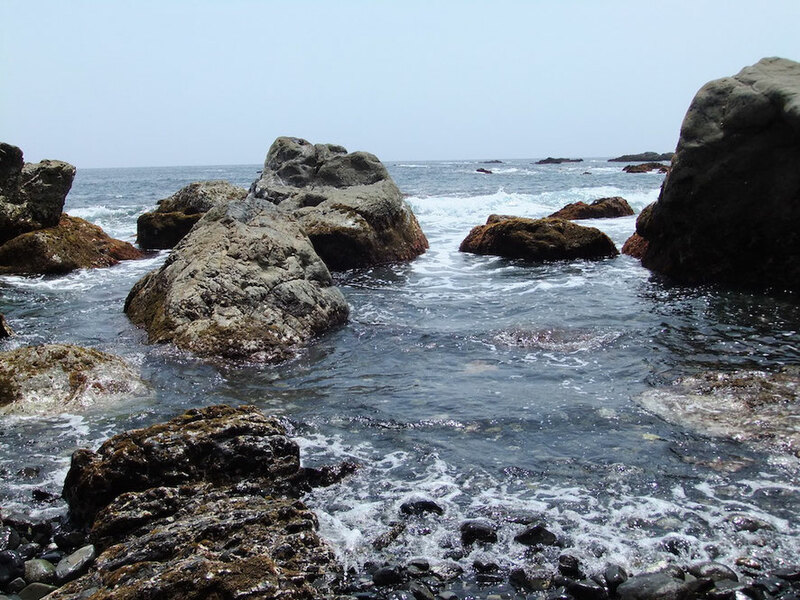 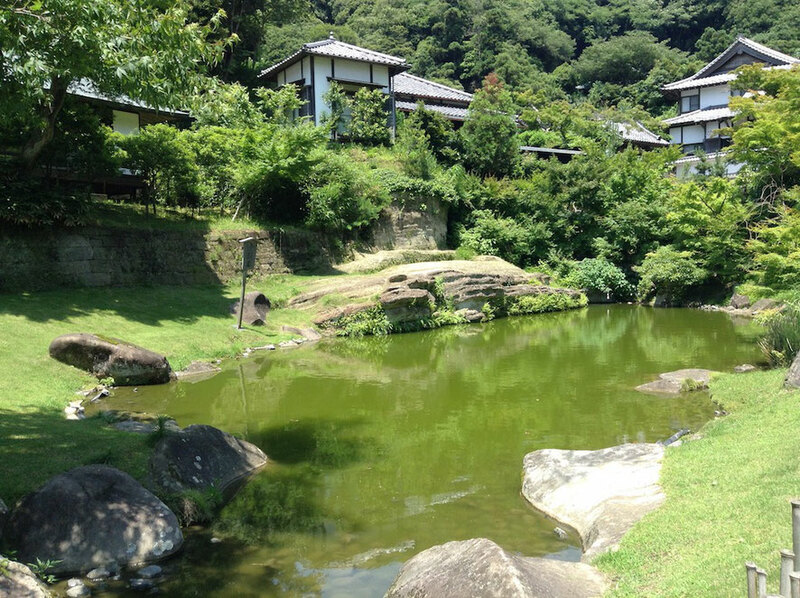 Both hotel's guests and day-trippers can get into this hot spring. 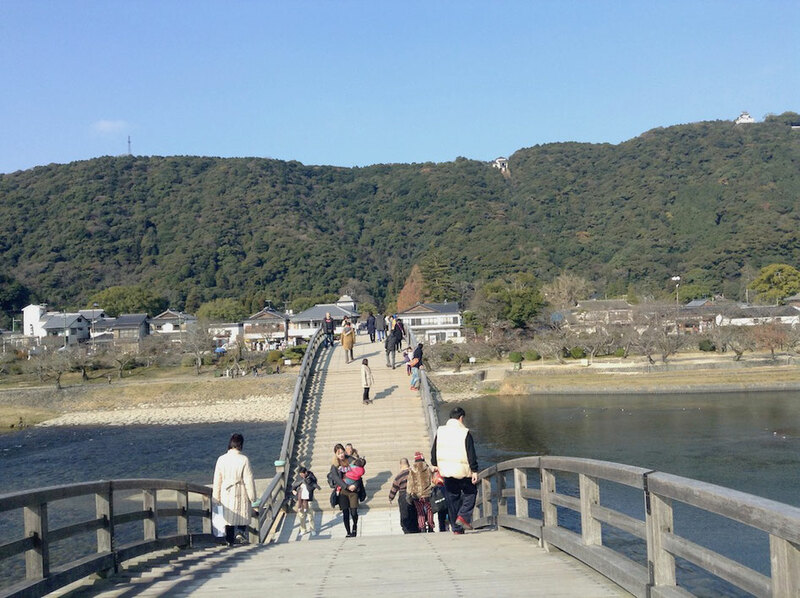 You can see Kintaikyo-Bridge at the viewing place of this hot spring. 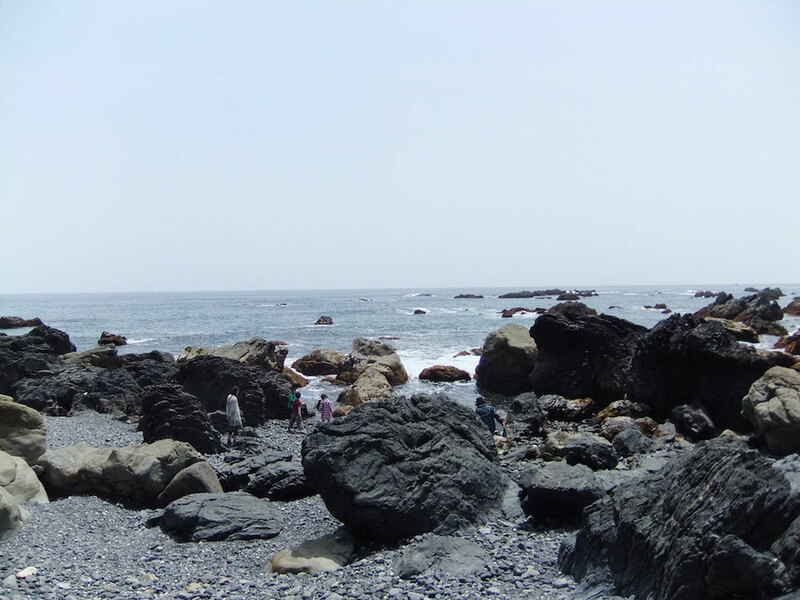 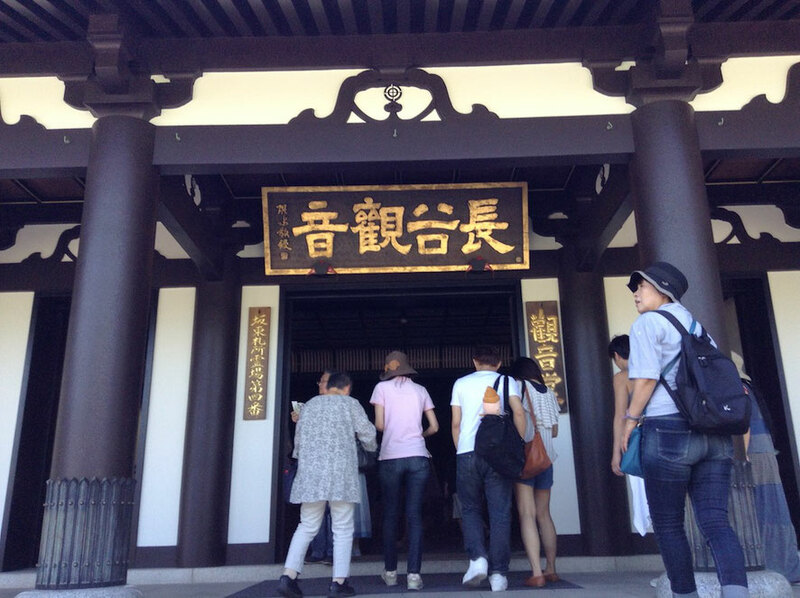 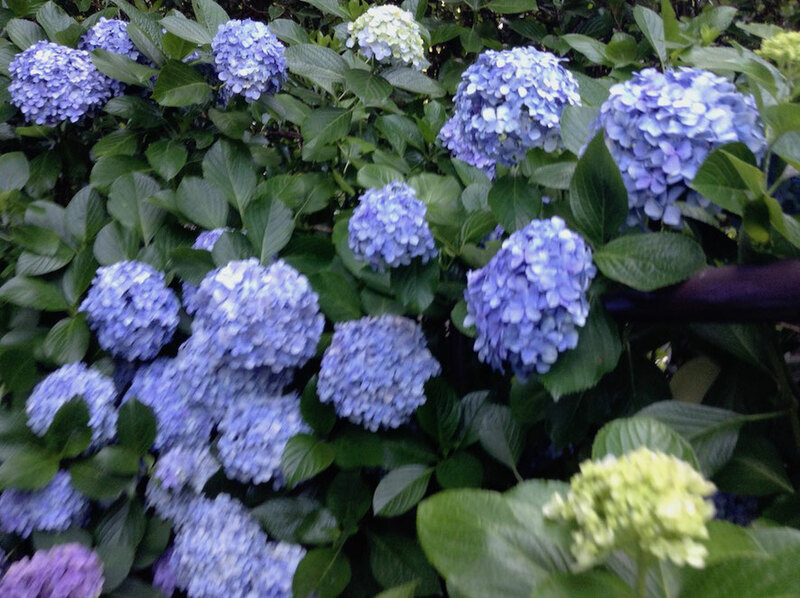 I did sightseeing in Kochi City, the capital of Kochi Prefecture after Ekin Festival. 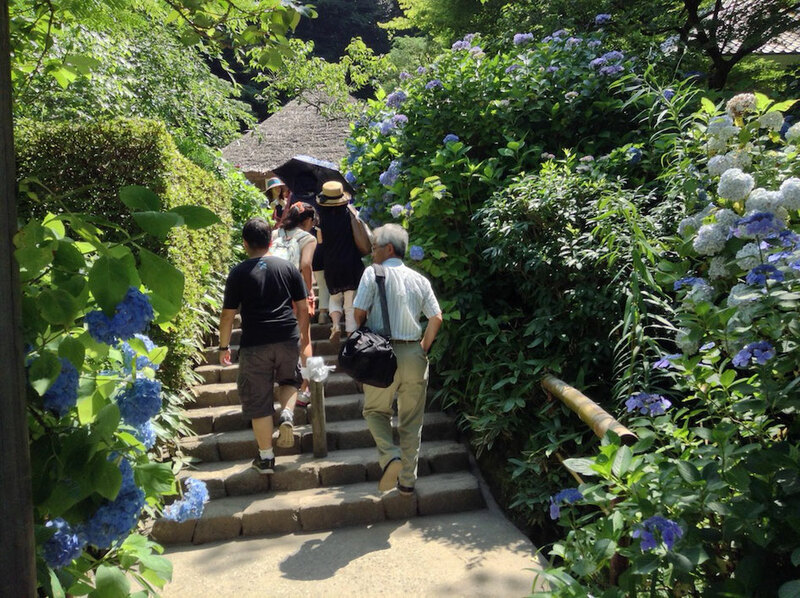 I will introduce the famous tourists places in Kochi City. 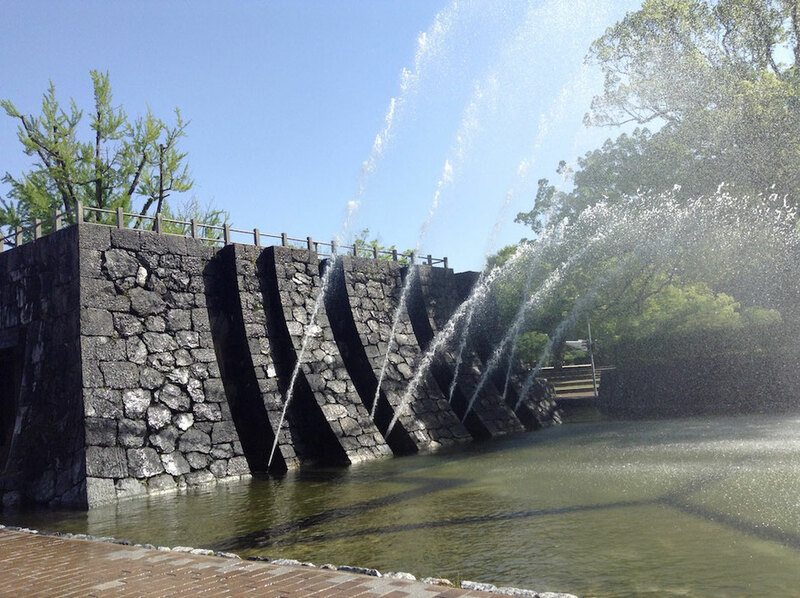 This is Kochi Castle, a symbol of Kochi City. 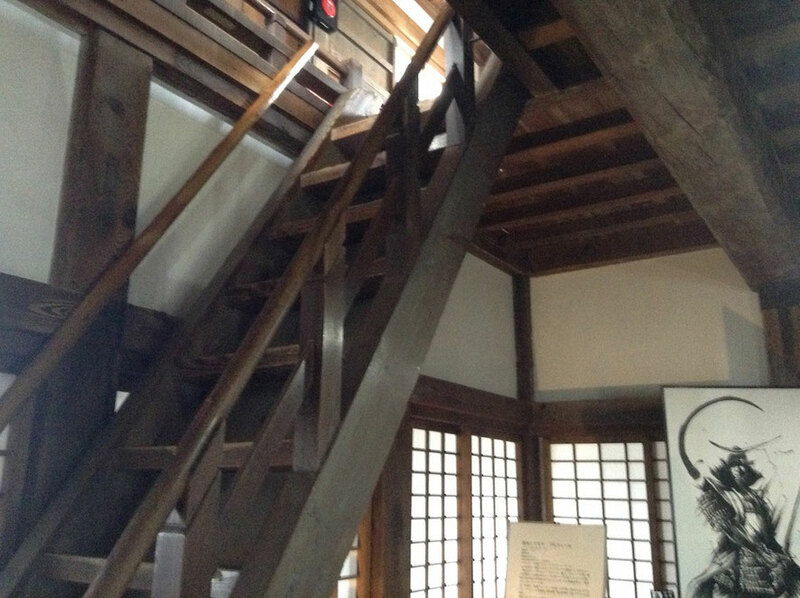 Kochi Castle's Castle Tower was build in Early-Edo period and it retains its original structure. 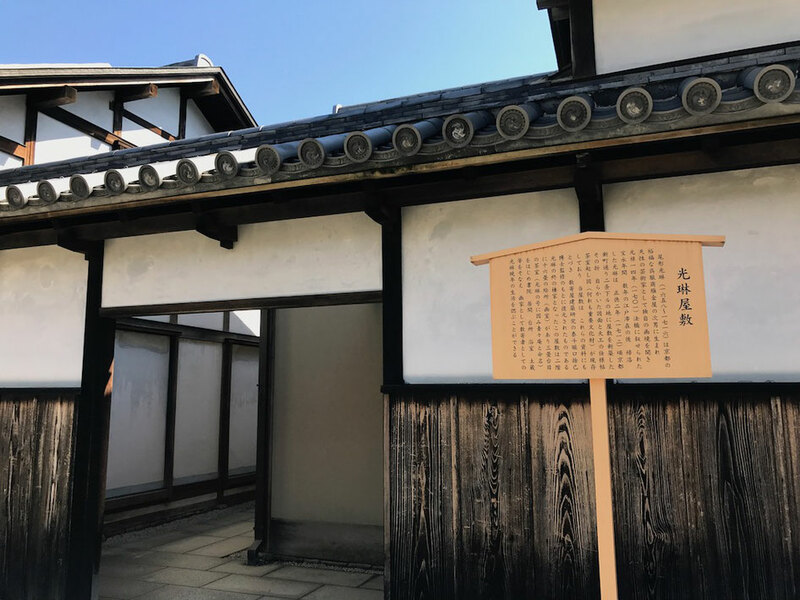 This castle's white wall is beautiful. 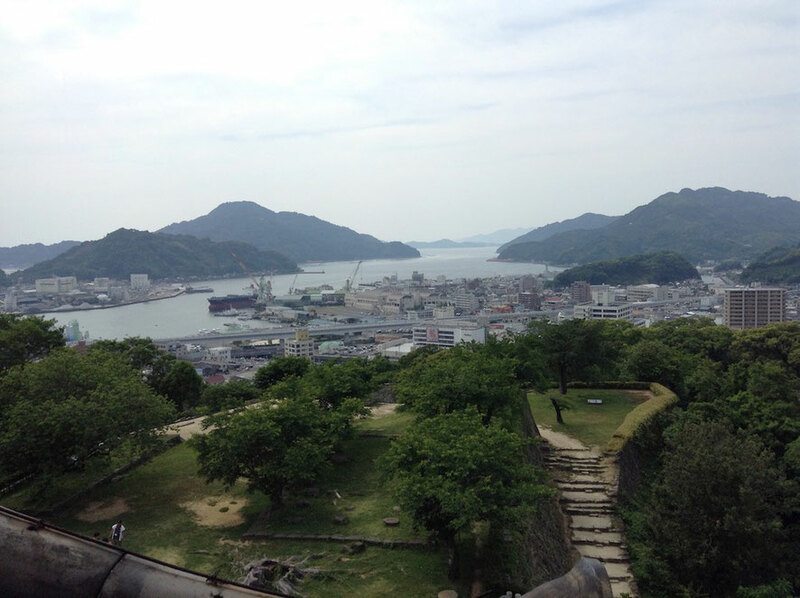 This pic is the scenery from Kochi Castle's Castle Tower. 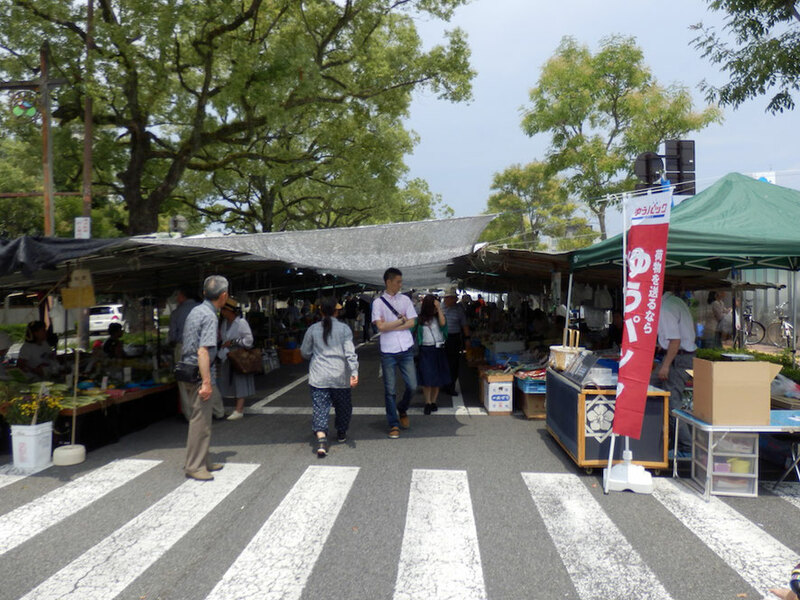 Sunday Market is held along Ottesuji, a street near Kochi Castle every sunday. 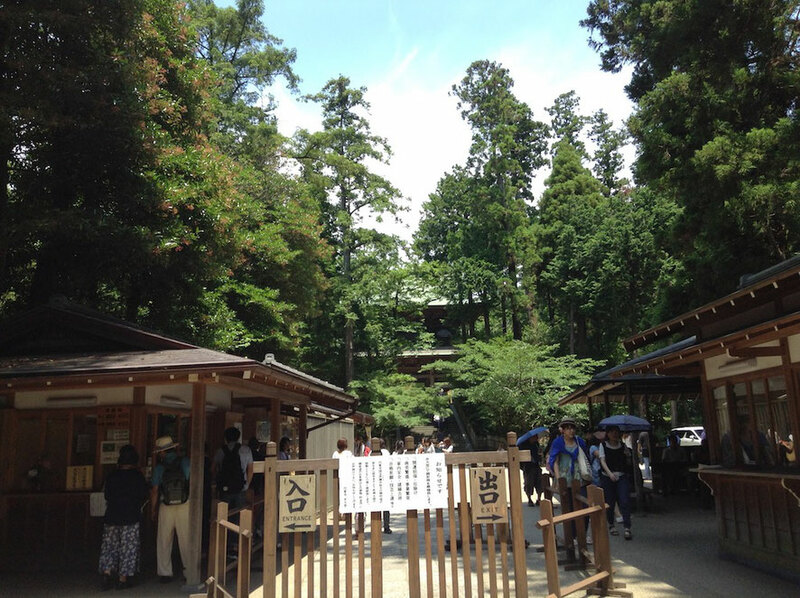 Fresh vegetables and craft objects are sold at this market. 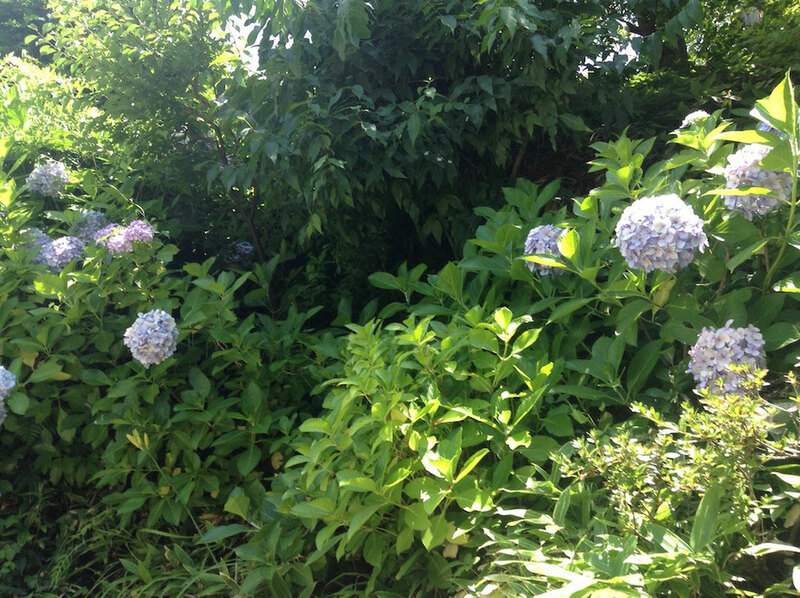 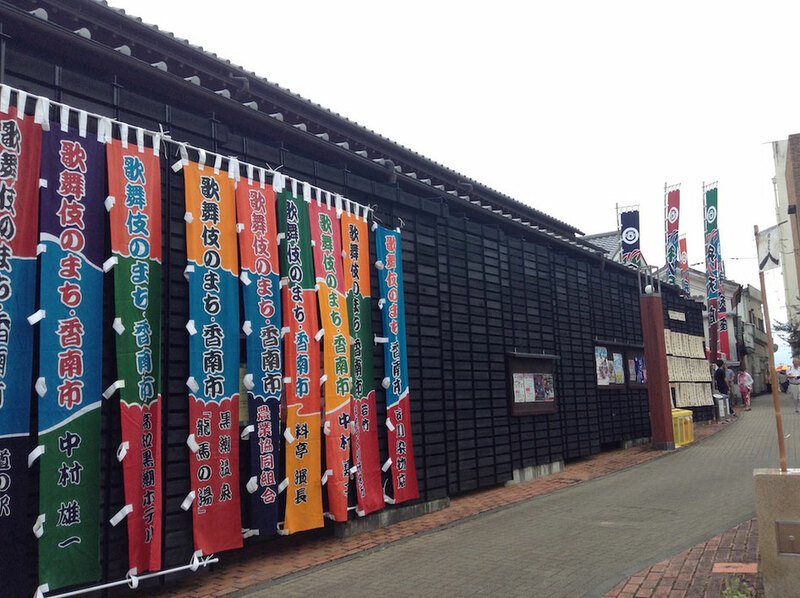 There is "Hirome Ichiba(Market)" near Kochi Castle. 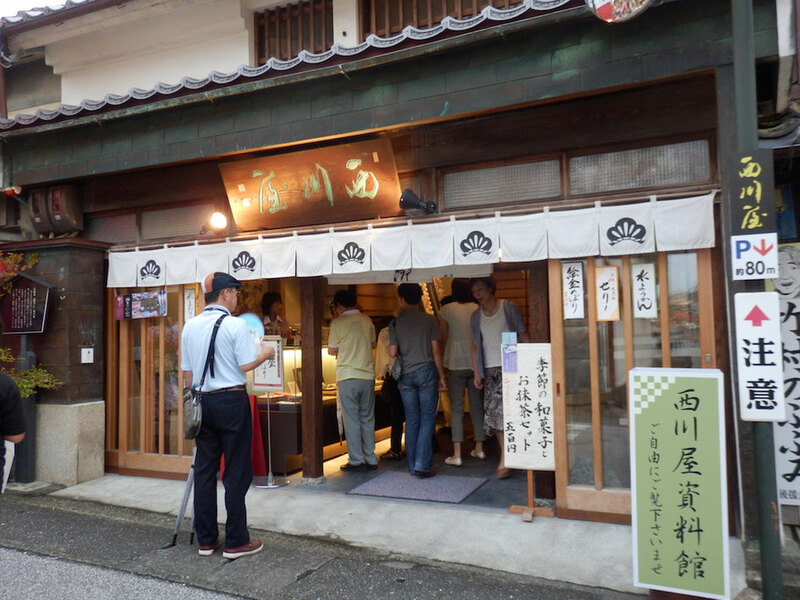 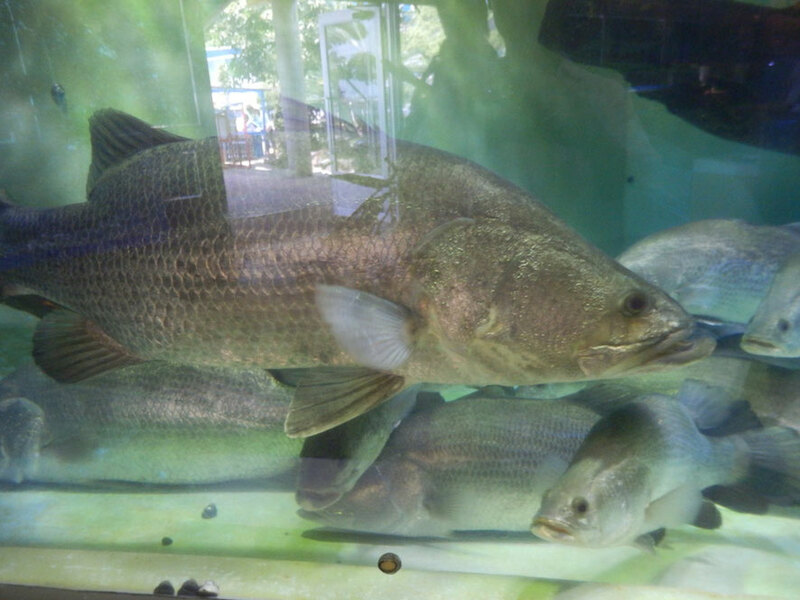 It has many restaurants serving Kochi's foods. 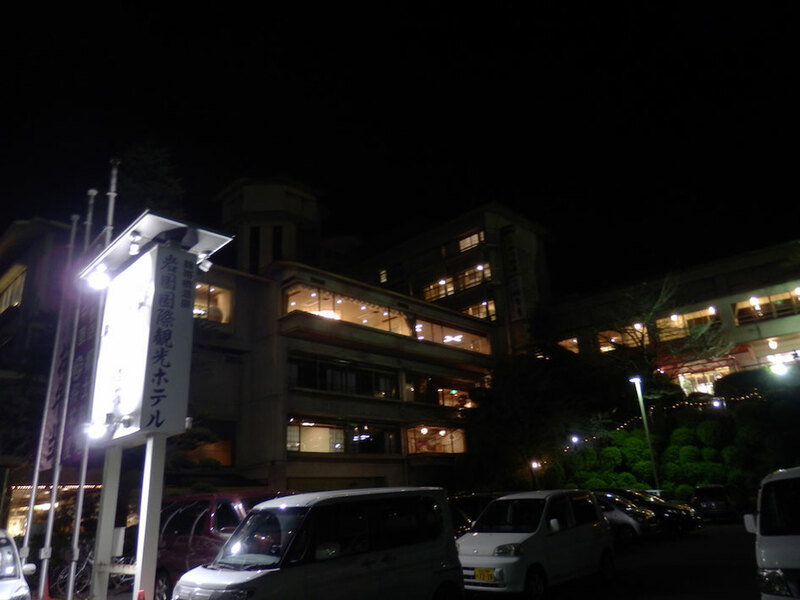 There are already a lot of people at 11 o'clock. 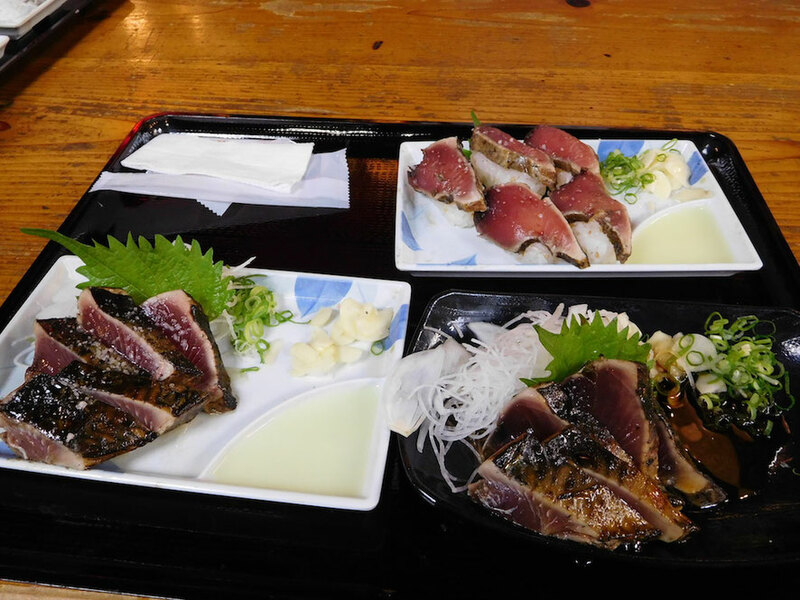 I recommend "bonito tataki",a famous food of Kochi. 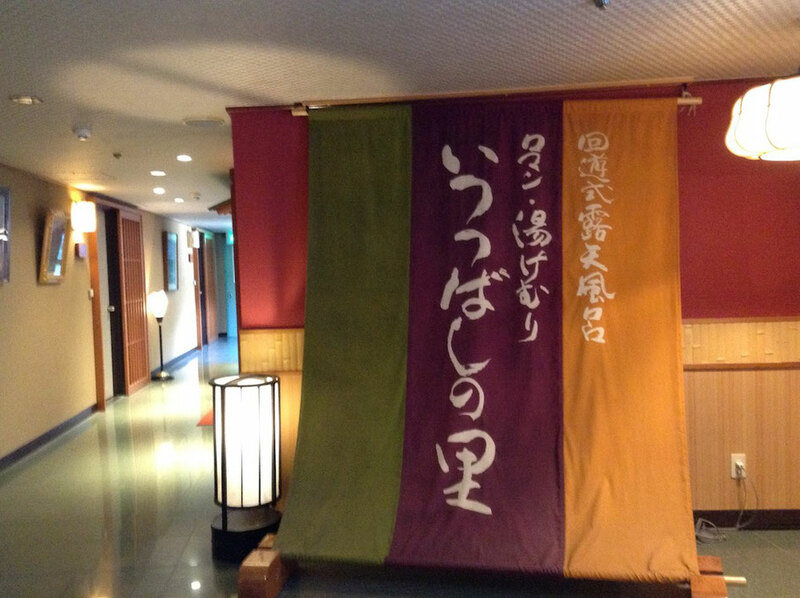 My most favorite restaurant is "Myojinmaru". 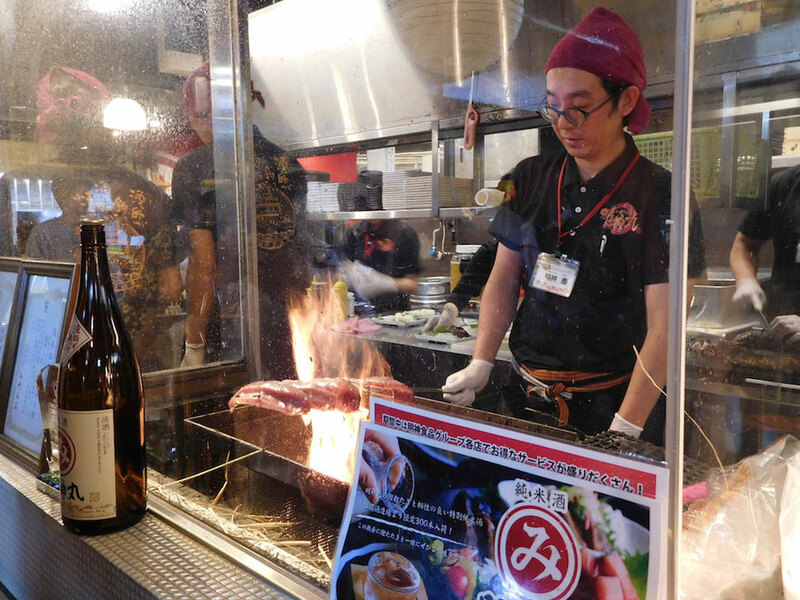 It is known as performance of baking bonito with straws. 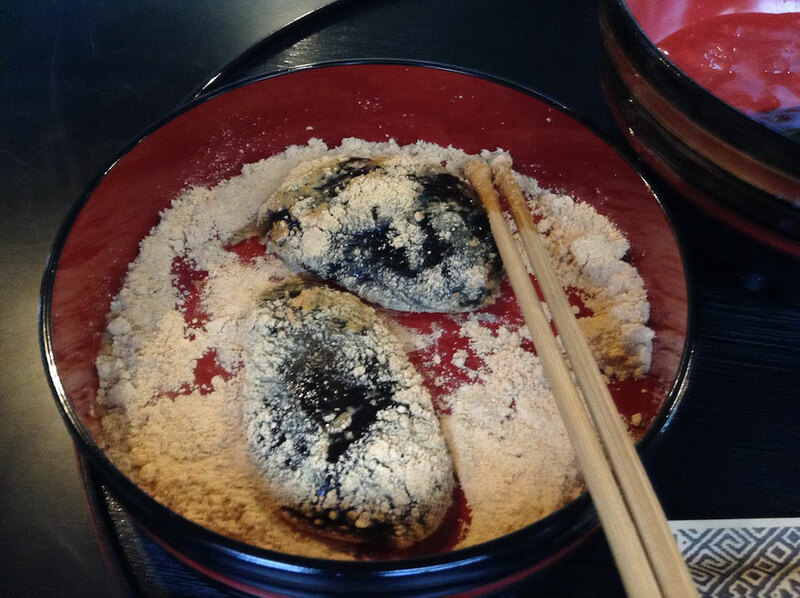 This is Myojinmaru's bonito tataki. 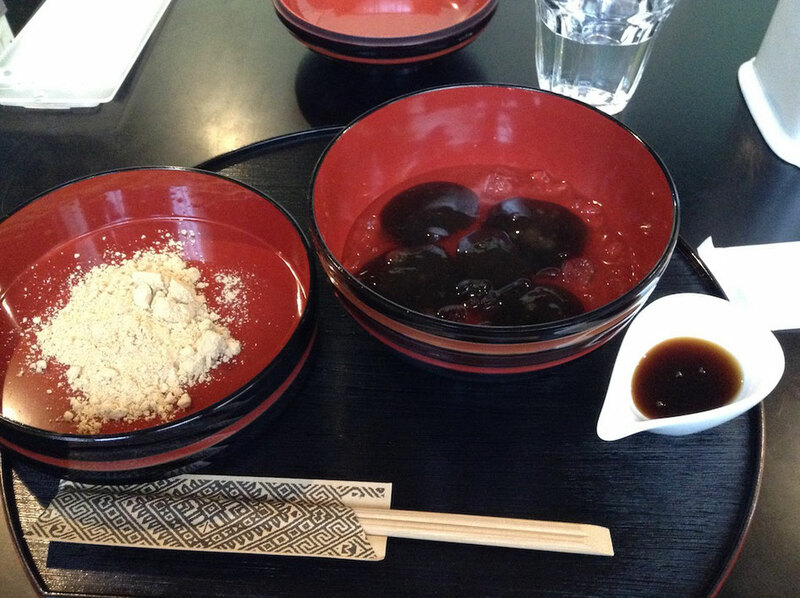 The front is set of bonito tataki sauce and salt. 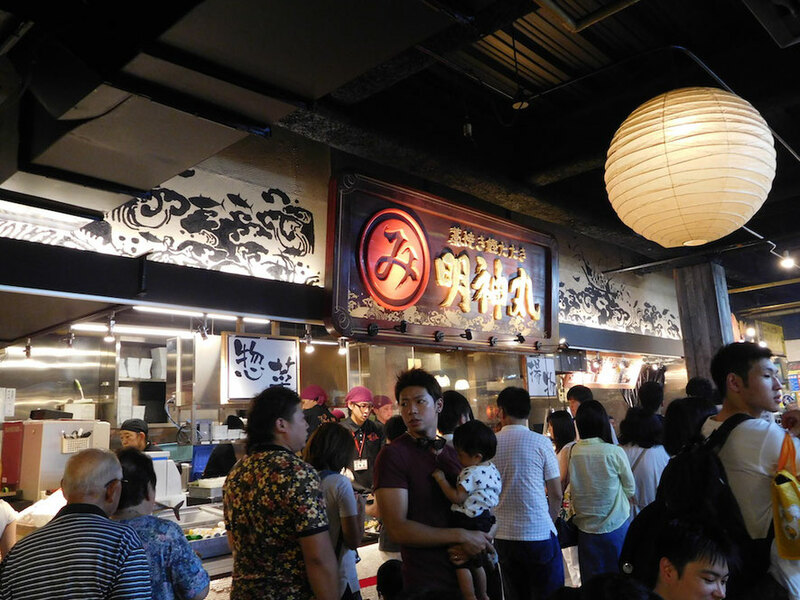 The back is bonito tataki sushi. 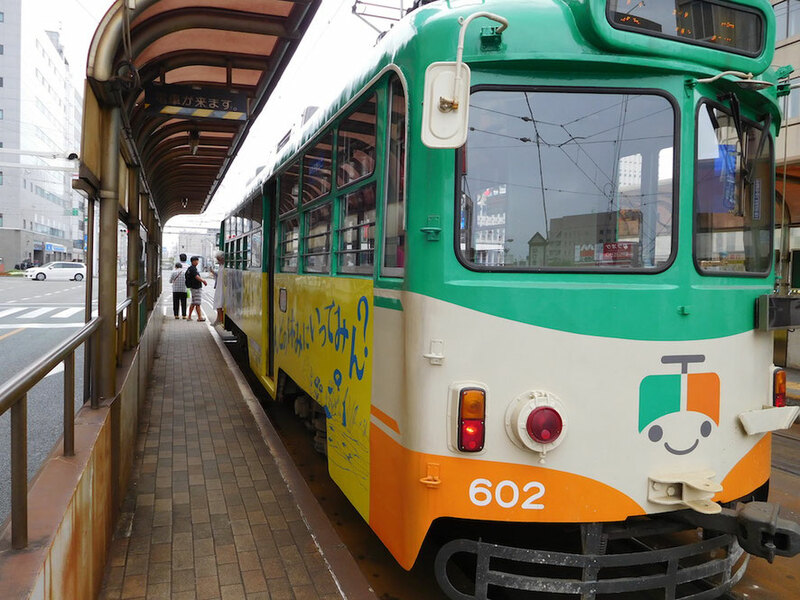 Tramcar(it is operated by Tosaden Traffic Co.,Ltd.) 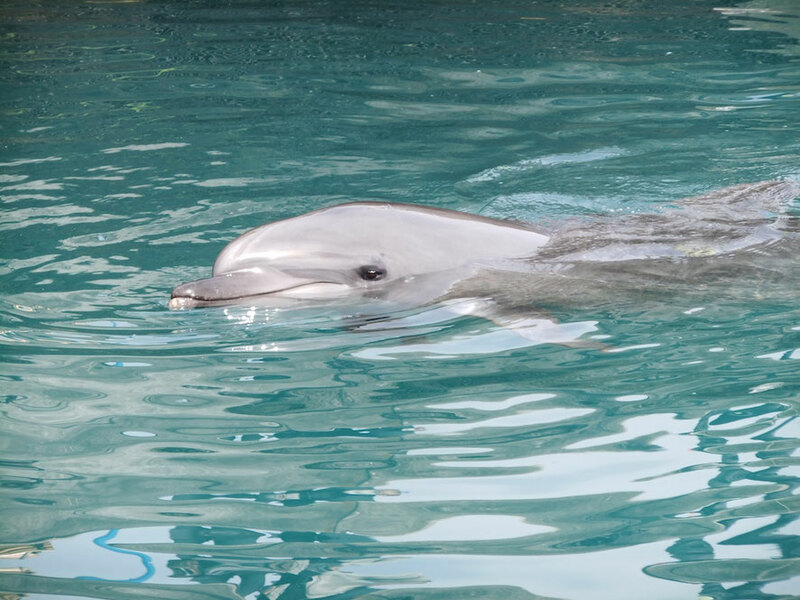 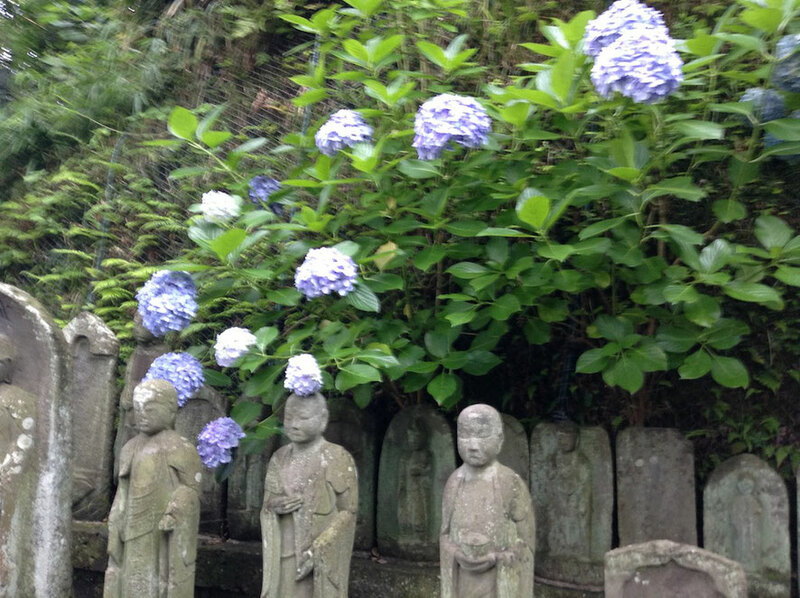 is useful for sightseeing around Kochi City. 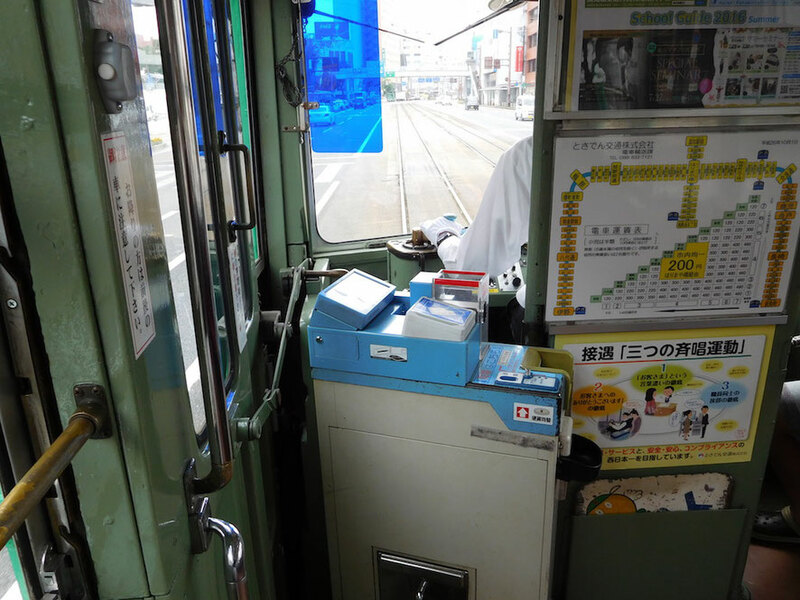 A flat fare of 200 yen is charged on tramcar in Kochi City. 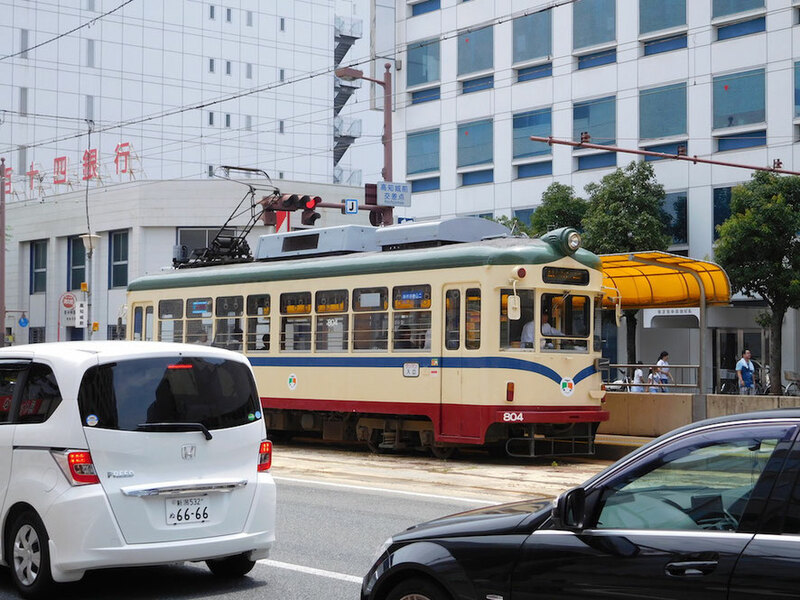 There are various color types of tramcars. 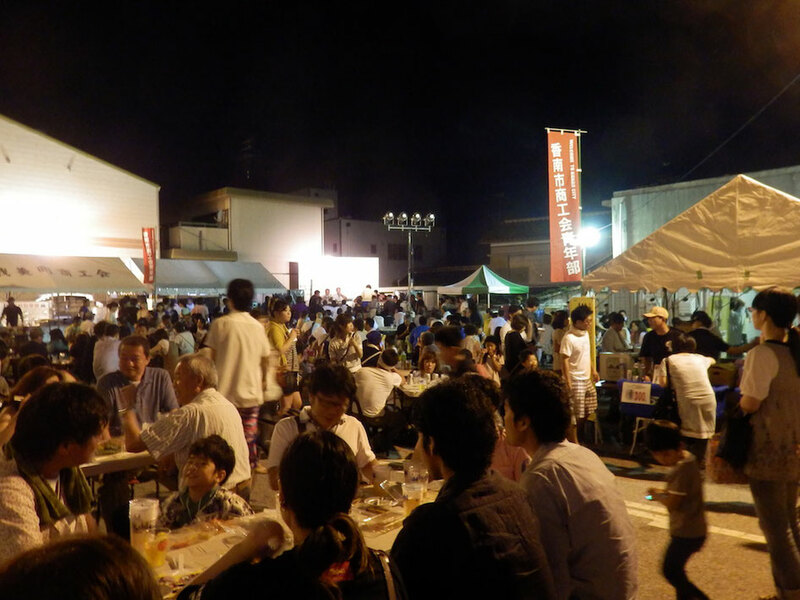 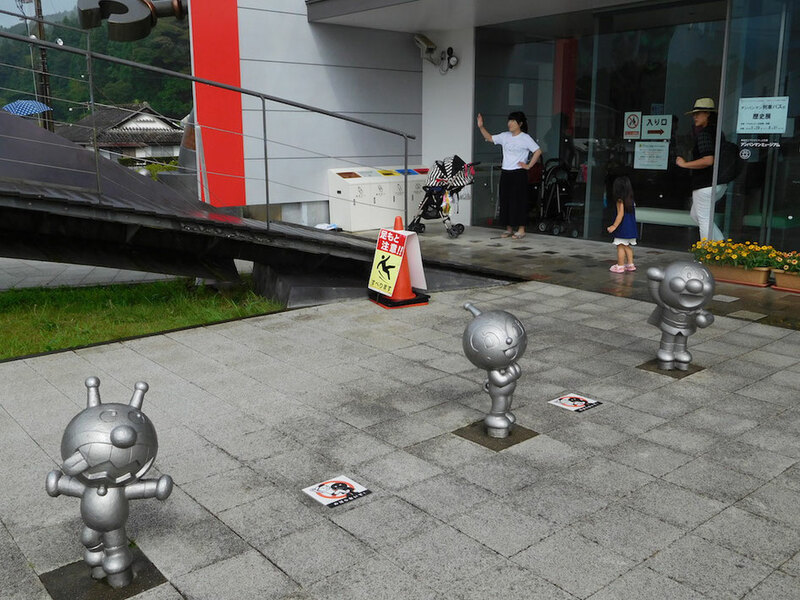 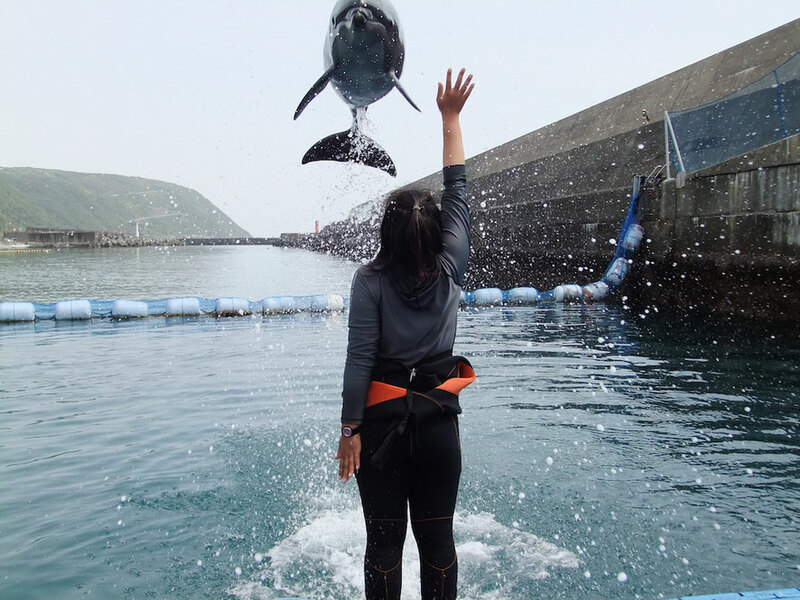 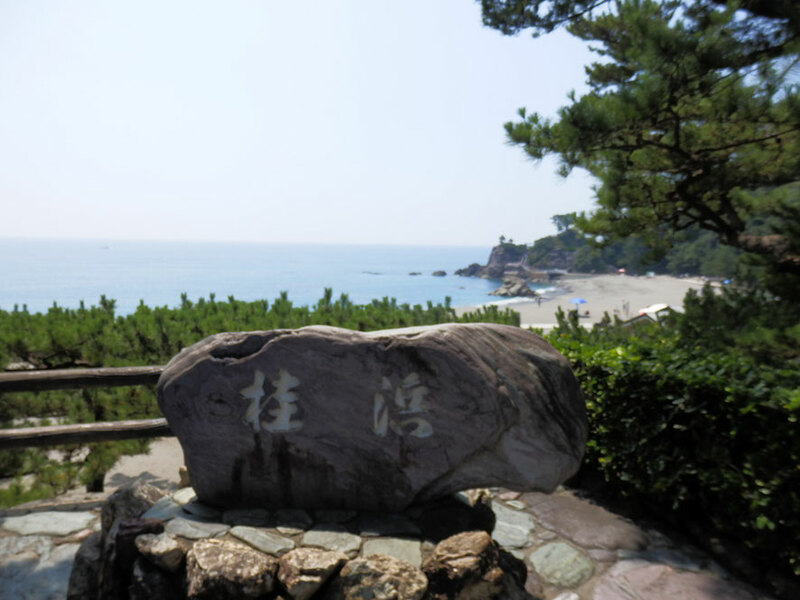 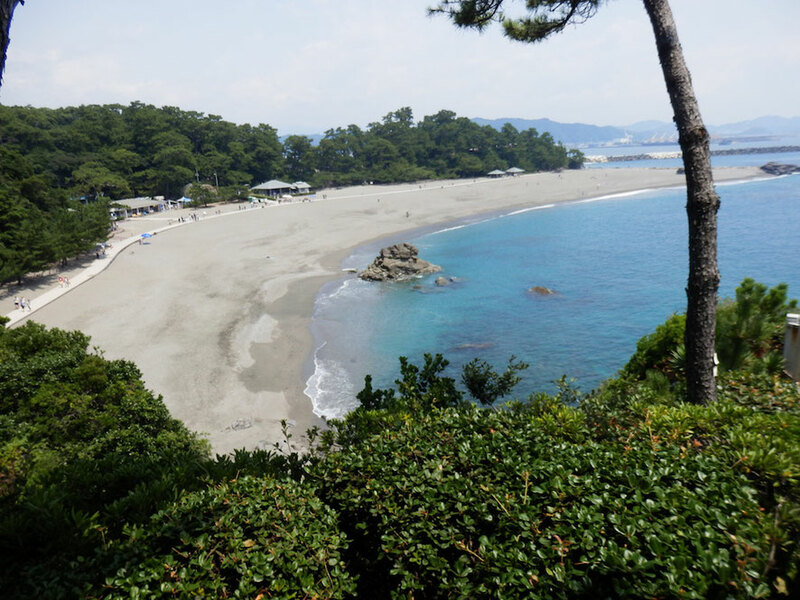 "Ekin Festival" is held in Akaoka,Konan City,Kochi Prefecture,Japan every Saturday and Sunday in 3rd Week of July. 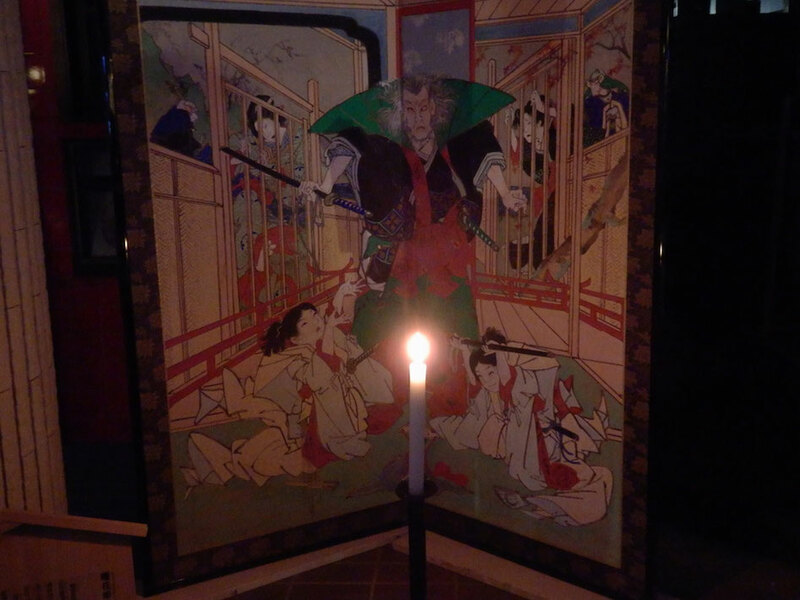 "Ekin" is Kinzo Hirose's nickname and he is a painter of late-Edo period and early-Meiji period. 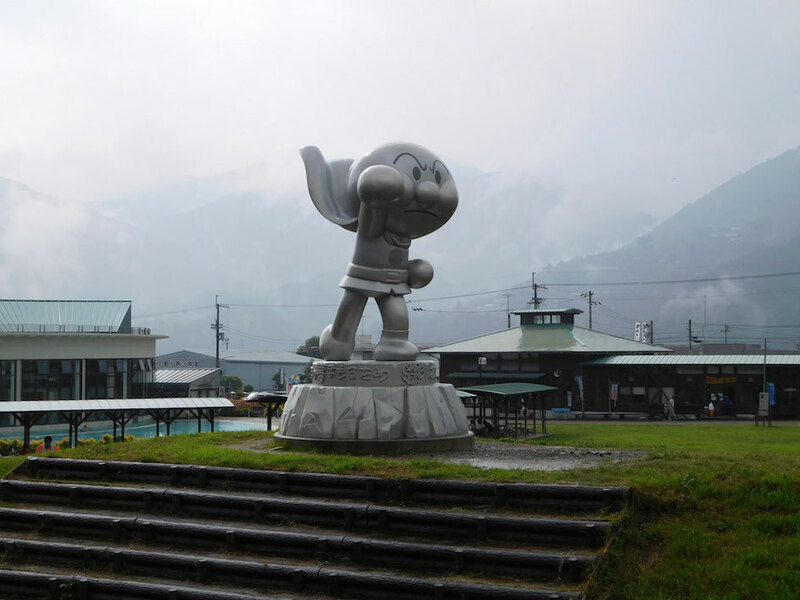 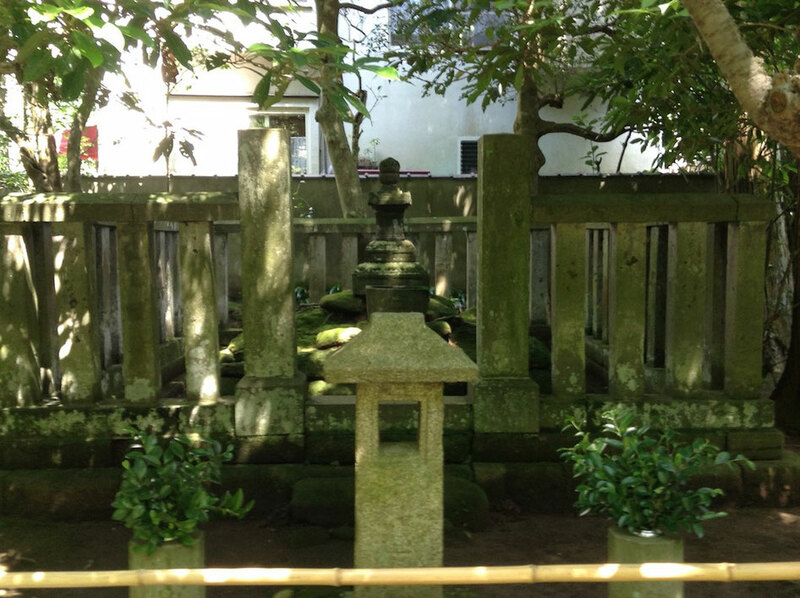 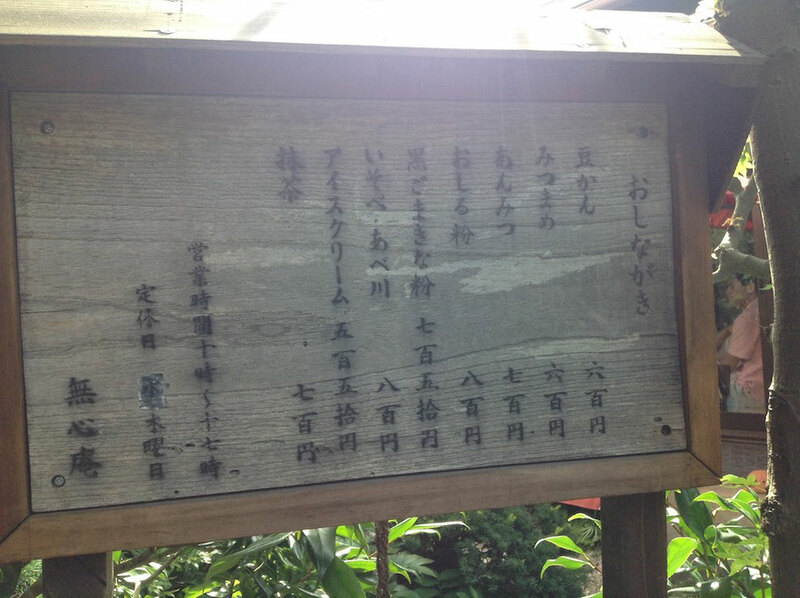 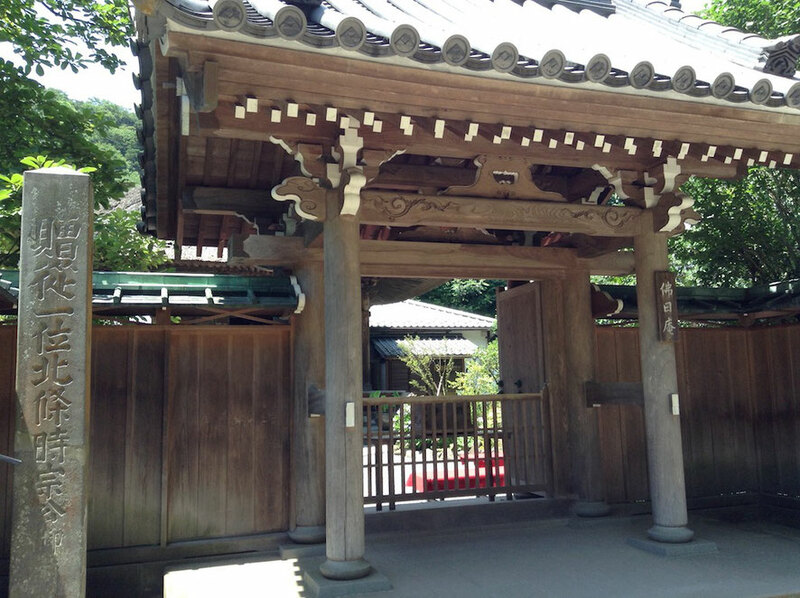 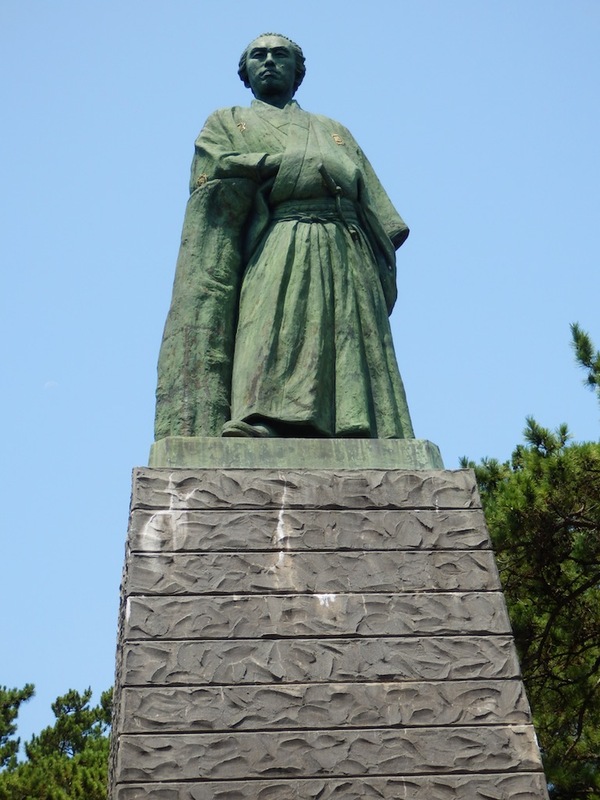 Ekin was born in Tosa domain(Kochi Prefecture) in 1812 and he became chief retainer of Tosa domain in his young age. 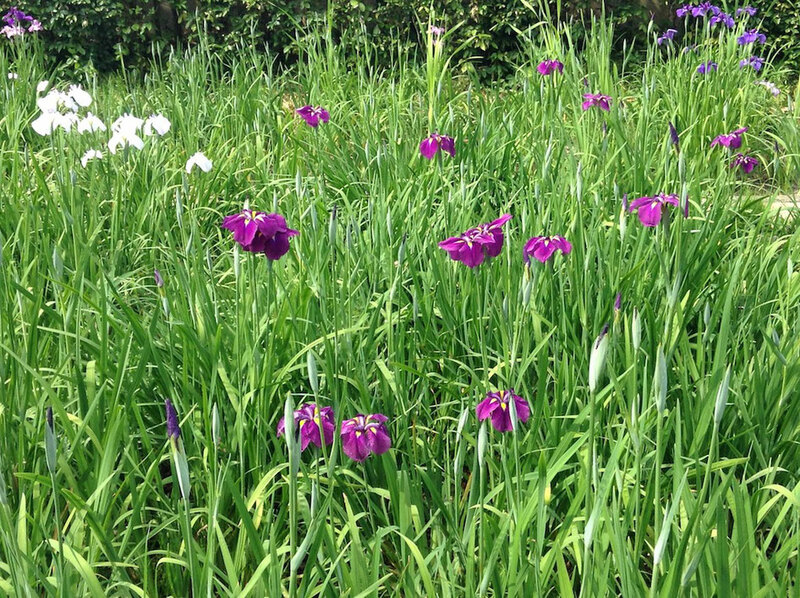 But he was suspected to copy a famous Kano school's work and he was discharged from Tosa domain. 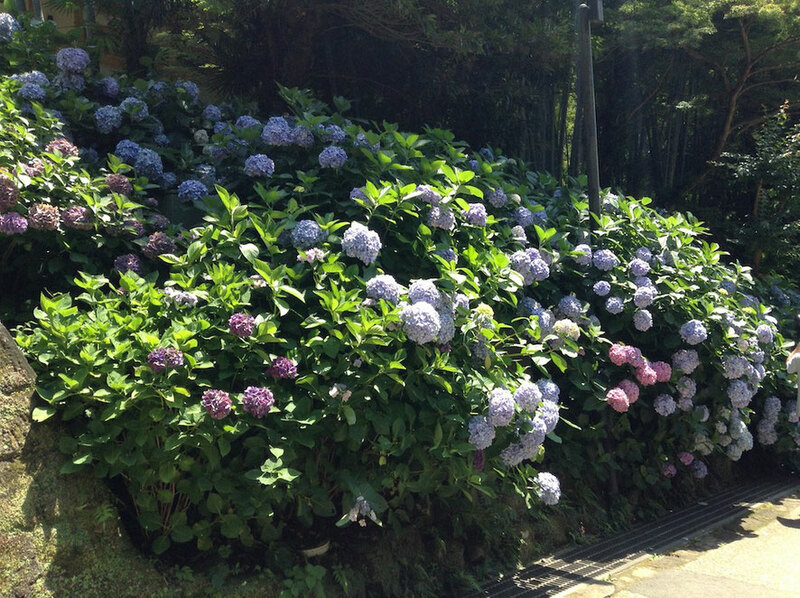 After that he lived in Akaoka and became a town painter. 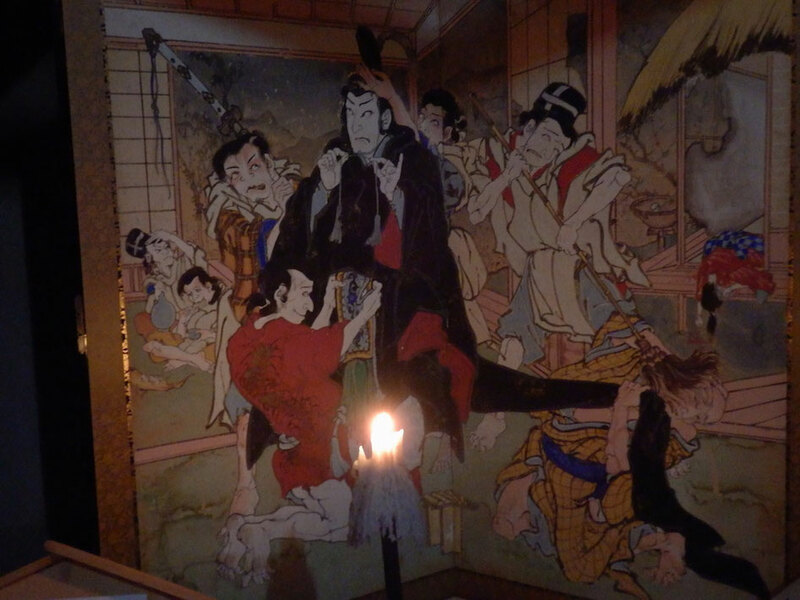 He painted a lot of Shibaie-byobu(Kabuki story based picture) at town's people request. 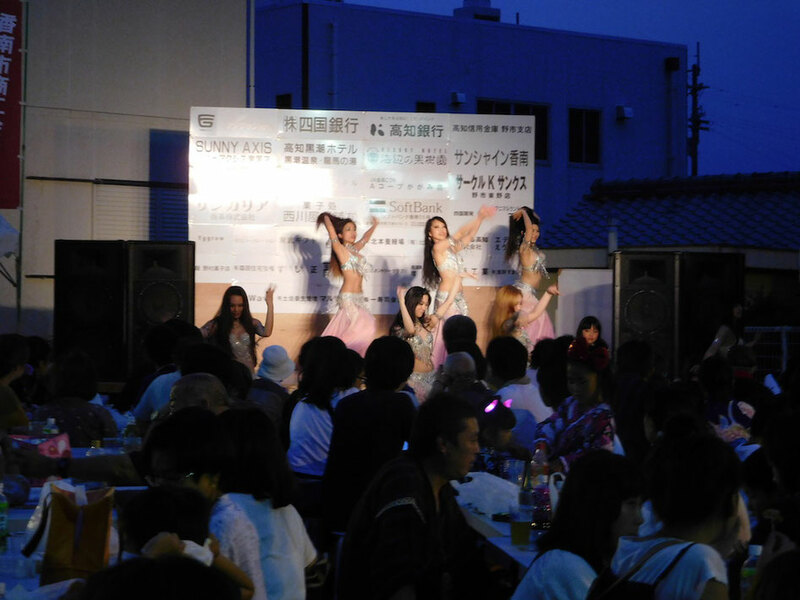 Ekin Festival was started from 1977. 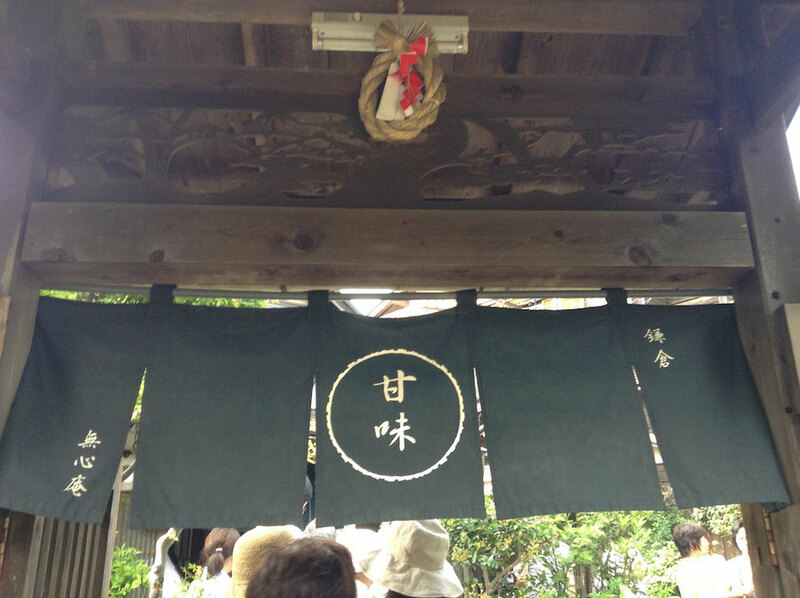 Ekin's masterpieces are awakened once a year during July, when they appear at the annual Suruta-Hachimangu Shrine Grand Festival. 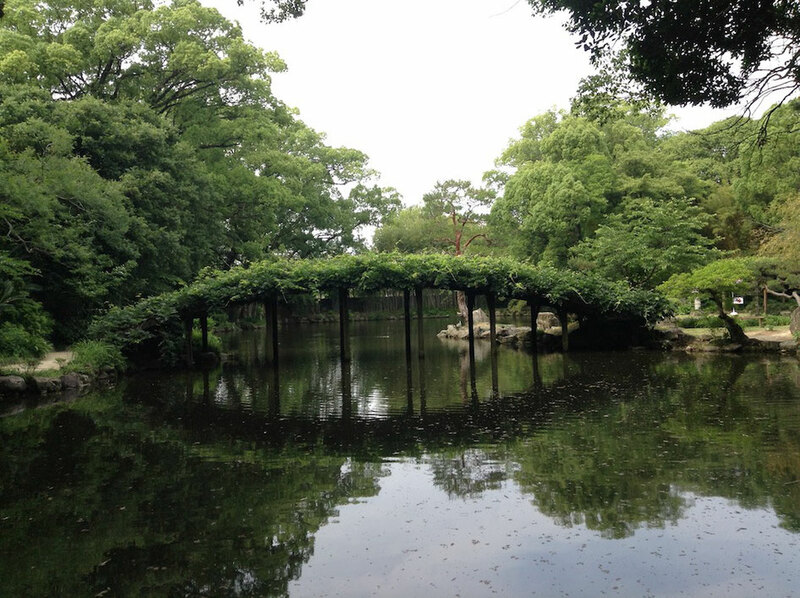 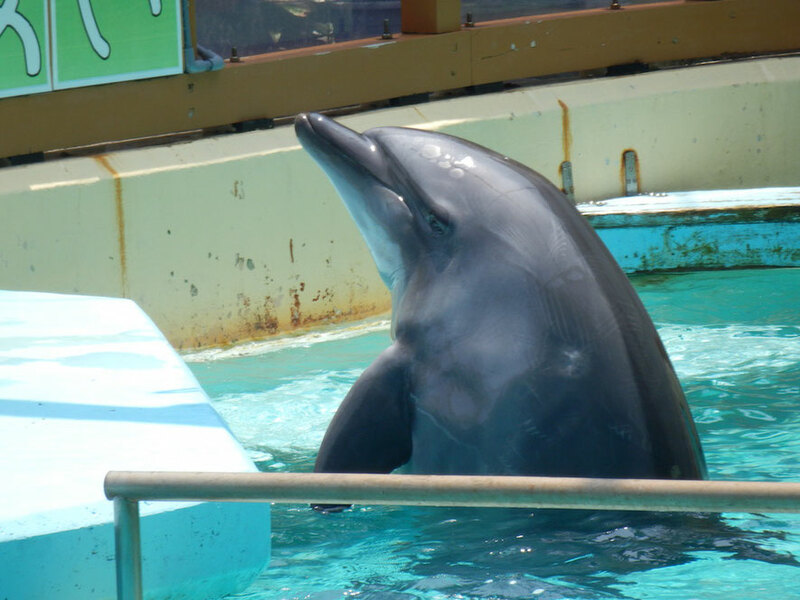 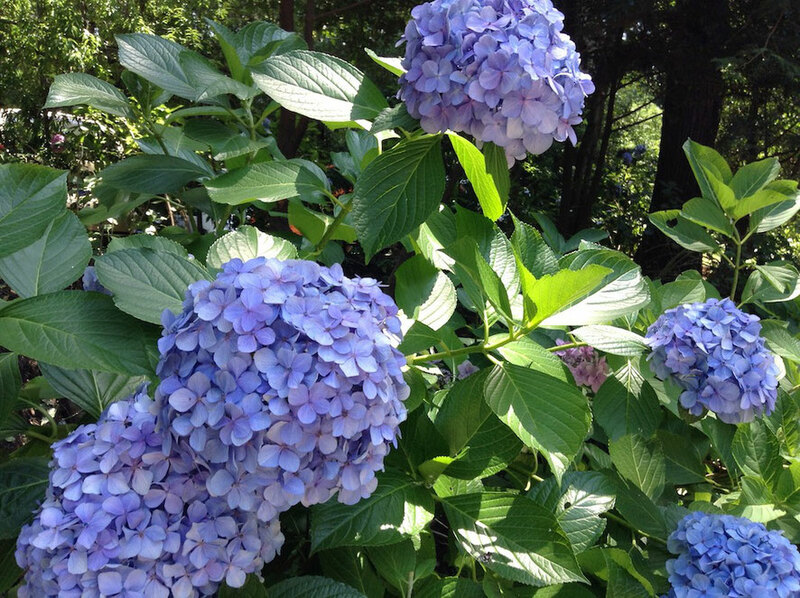 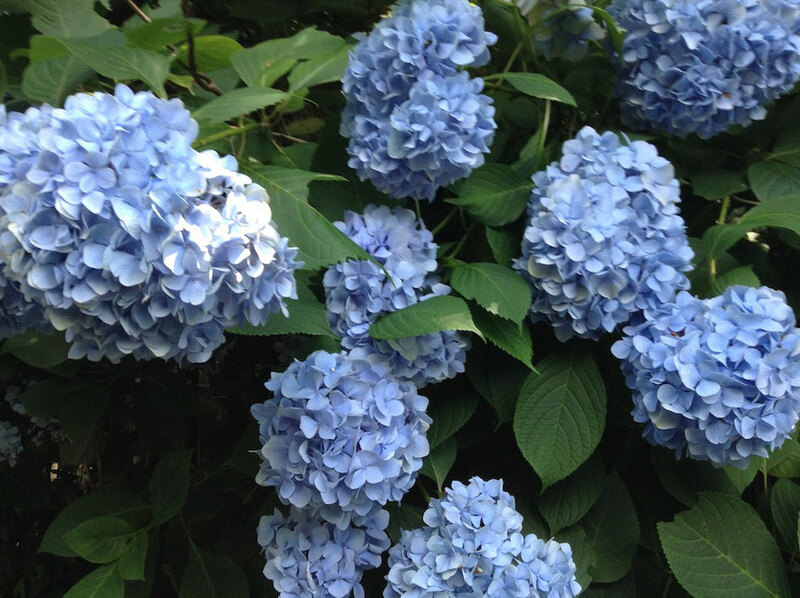 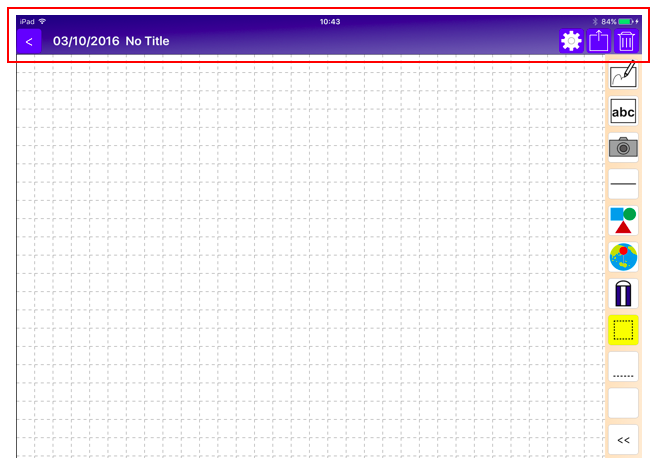 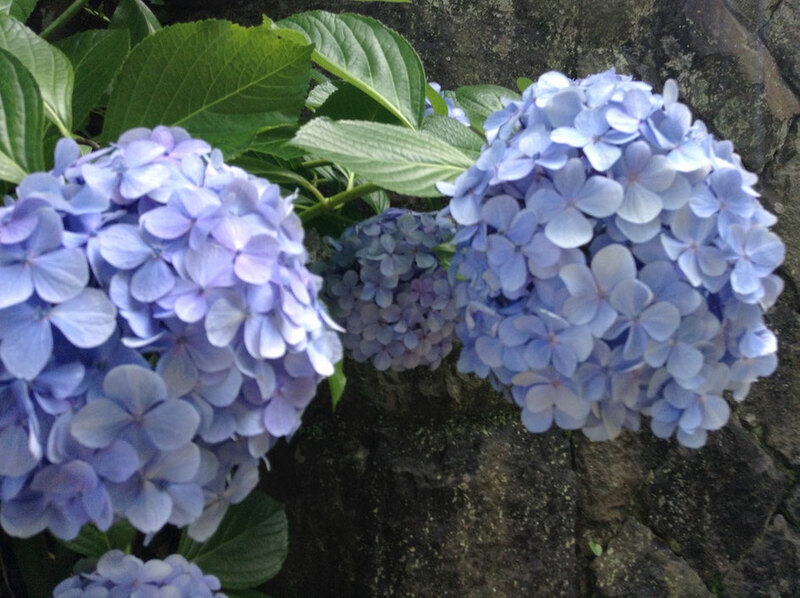 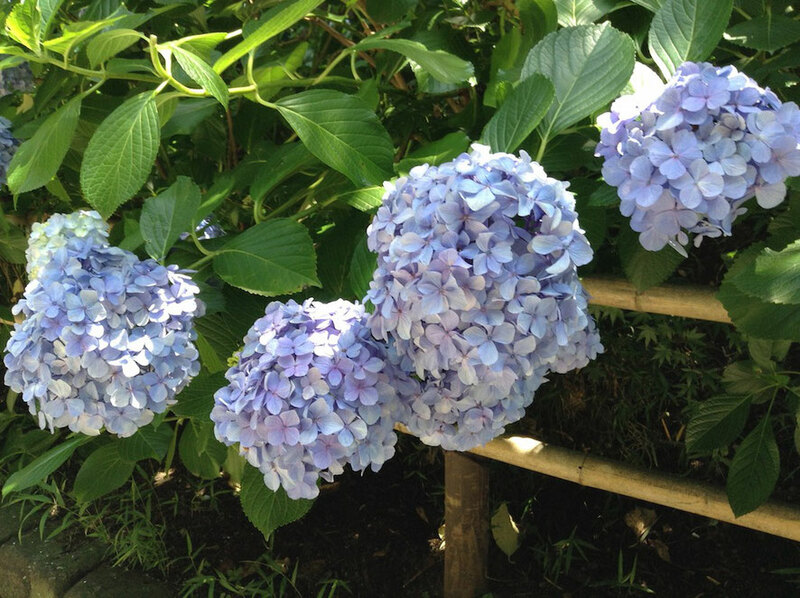 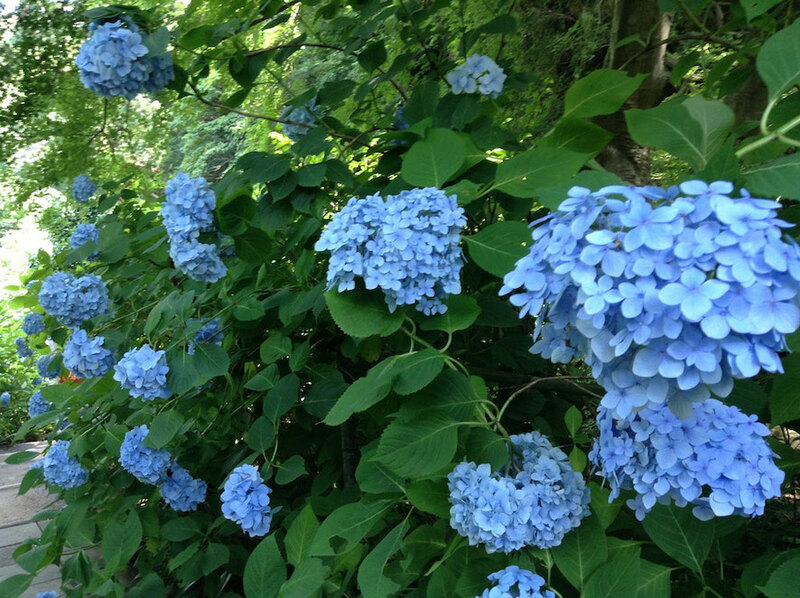 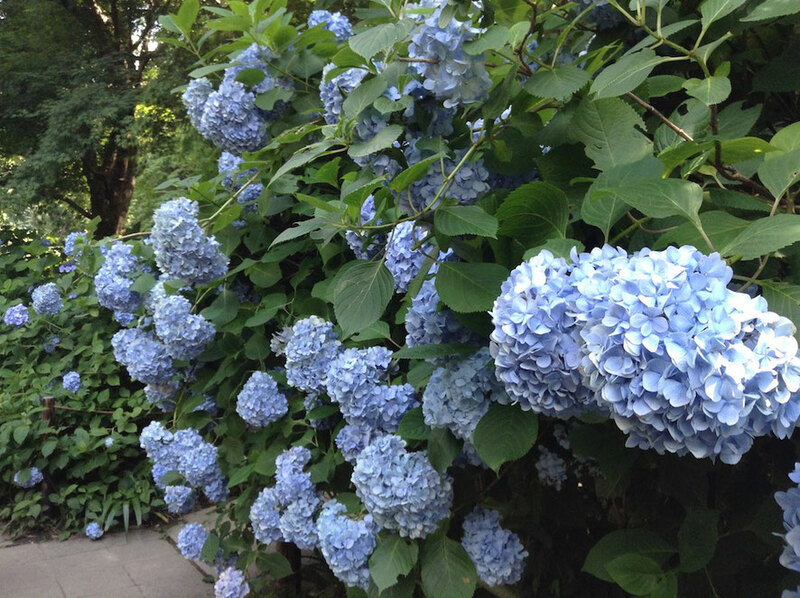 Ekin's masterpieces are decollated in Akaoka at 19:00. 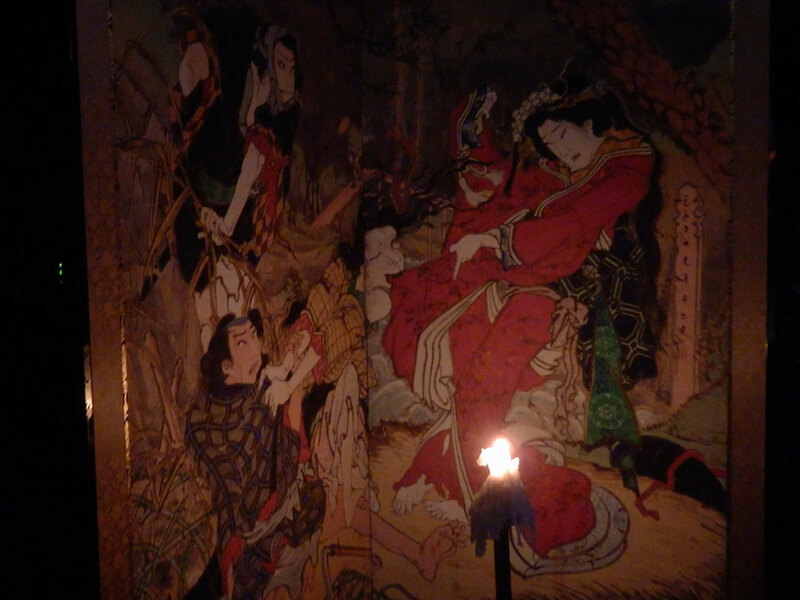 The sun descend at 20:00 and Ekin's masterpieces are very fantastic. 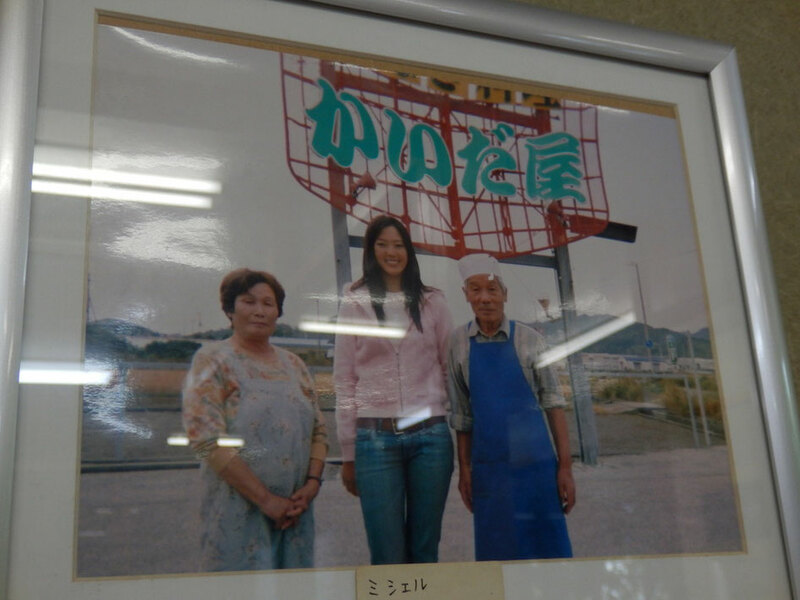 The owner explains the Ekin's picture. 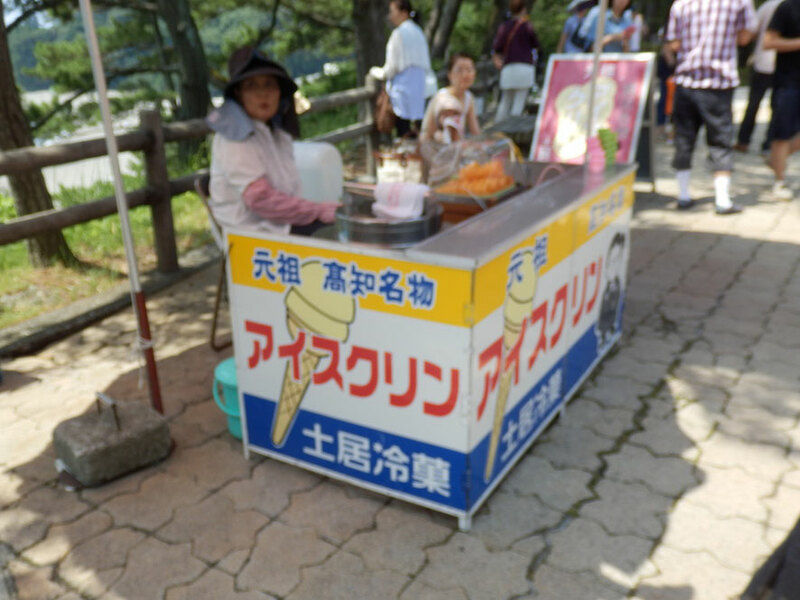 There are a lot of street stall along the street of the town. 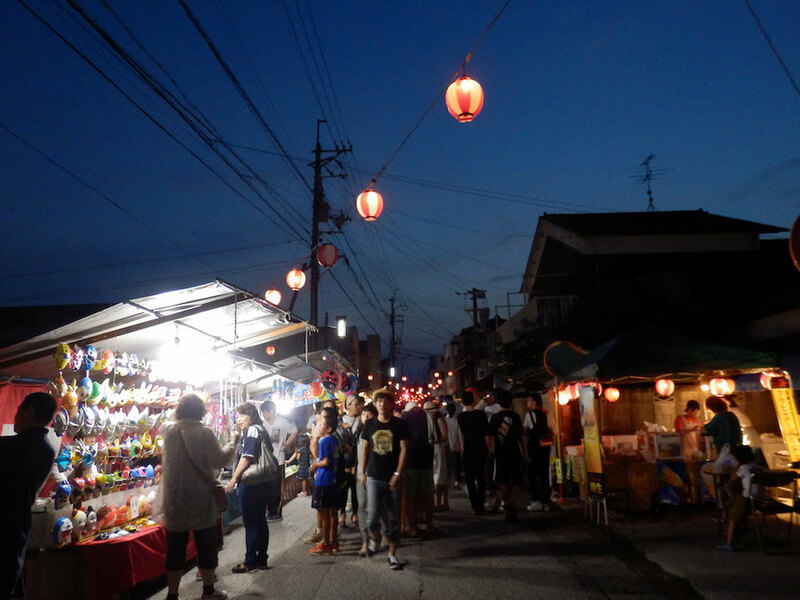 Lanterns heap up the festival. 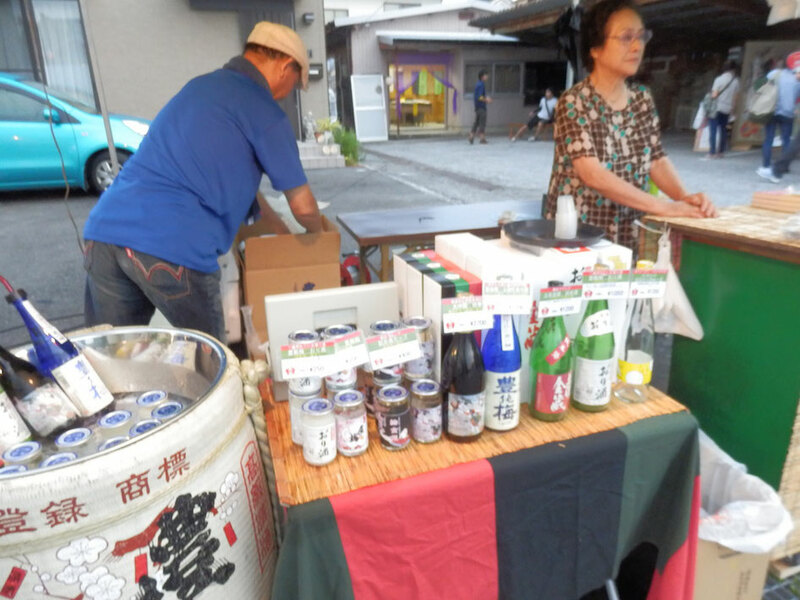 I found "Toyonoume",a local sake(an alcoholic beverage of Japanese origin that is made from fermented rice) of Akaoka at Ekin Festival. 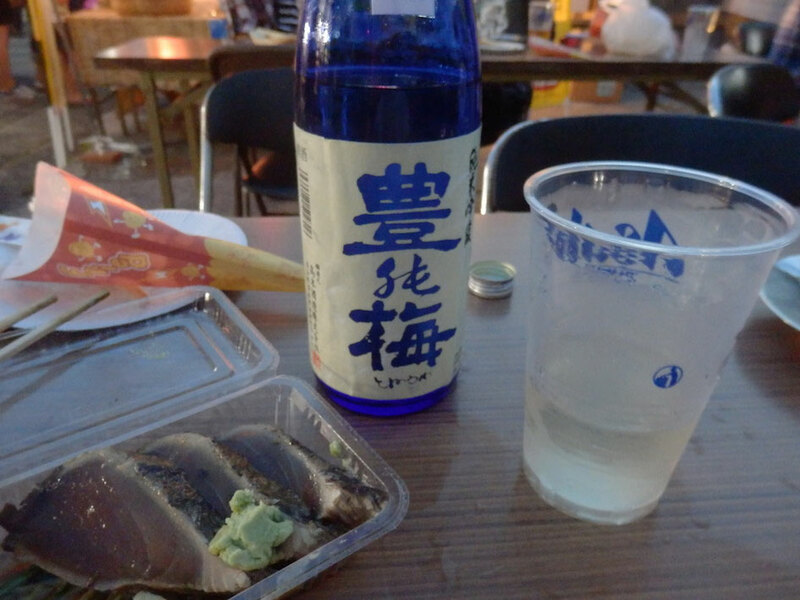 It is called "Ginjyo-Shu of Tosa's summer" and it tastes dry and light.I think it is perfect for summer. 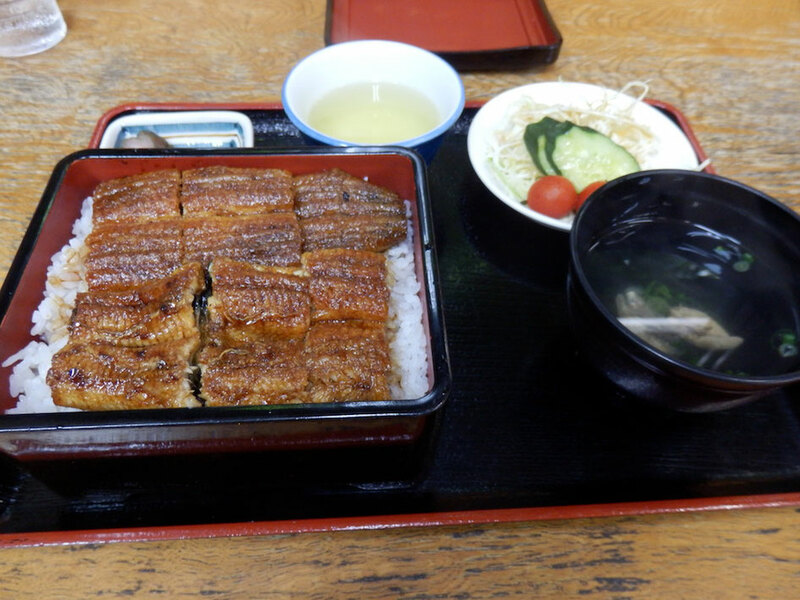 It is perfect fit for seared bonito slice,a famous fish based-cooking of Kochi Prefecture. 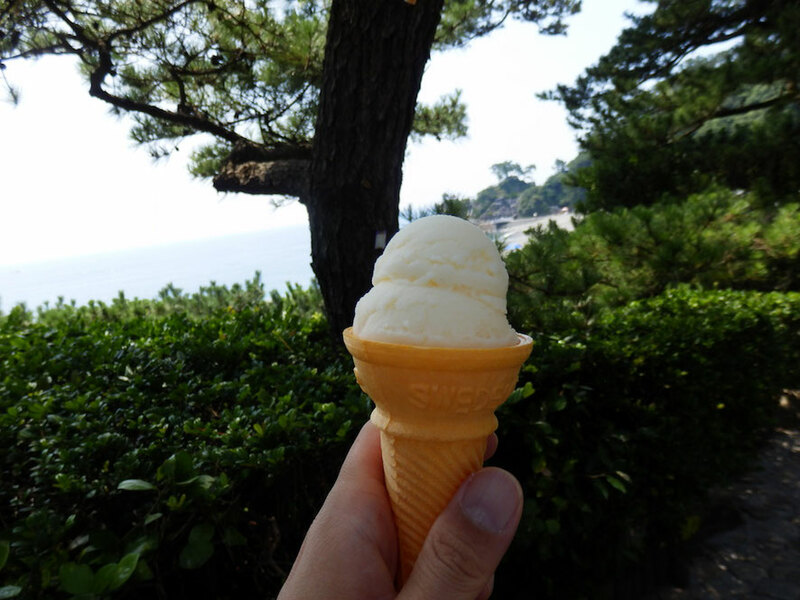 Nisikawaya is a long established Japanese confectioner in Akaoka. 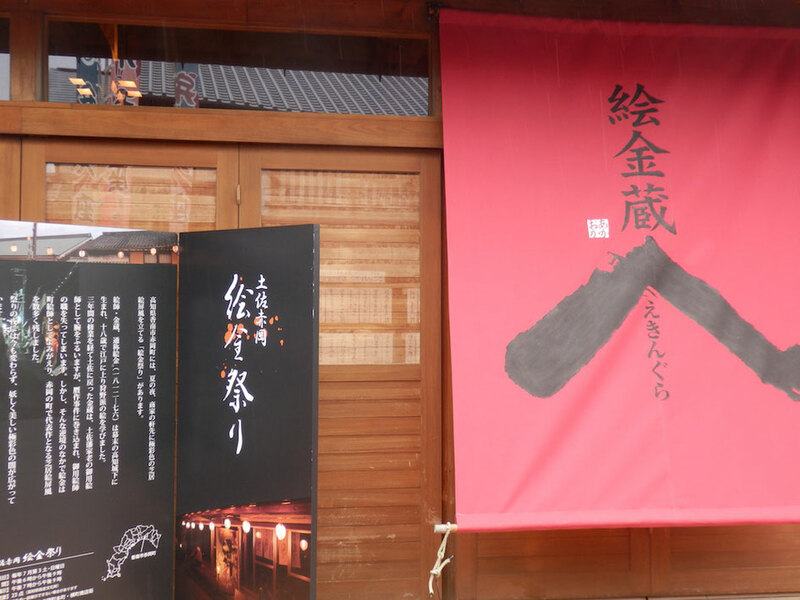 This shop was established in 1688. 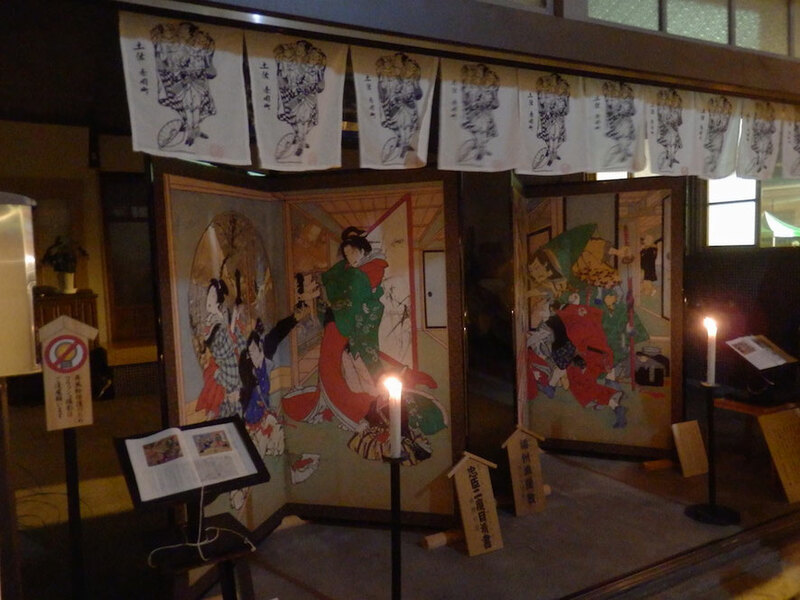 It is at street where Ekin Festival is held and it has some arts of Edo-Period and we can see them. 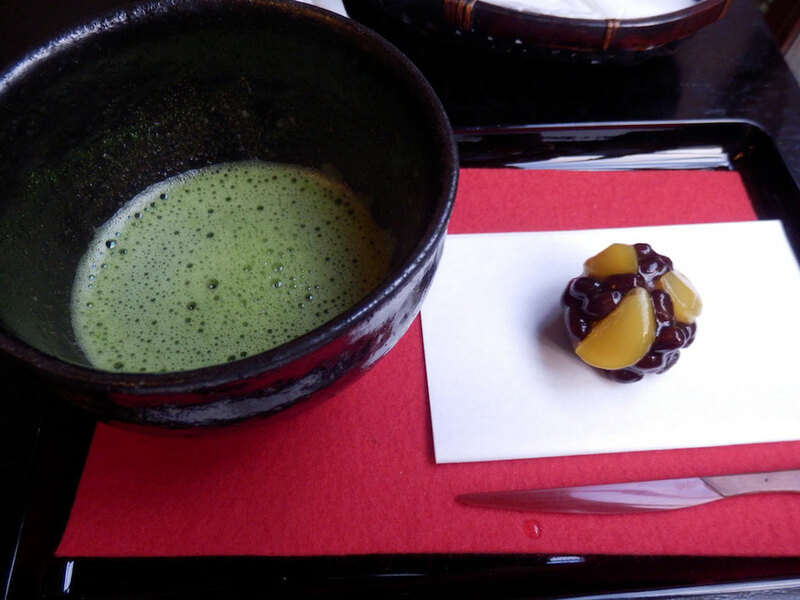 This pic is Japanese-style confectionery and green tea and it is 500 yen. 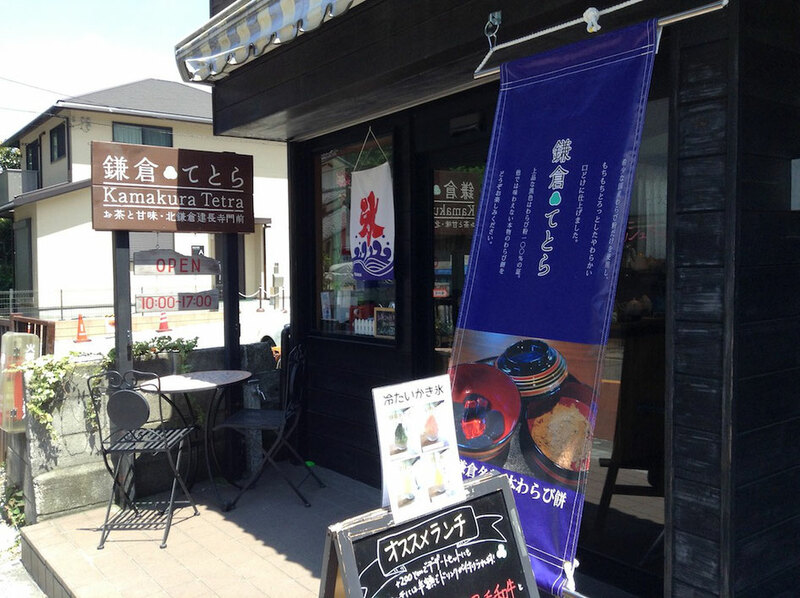 This confectionery is include chestnuts and it's name is "Kanoka". 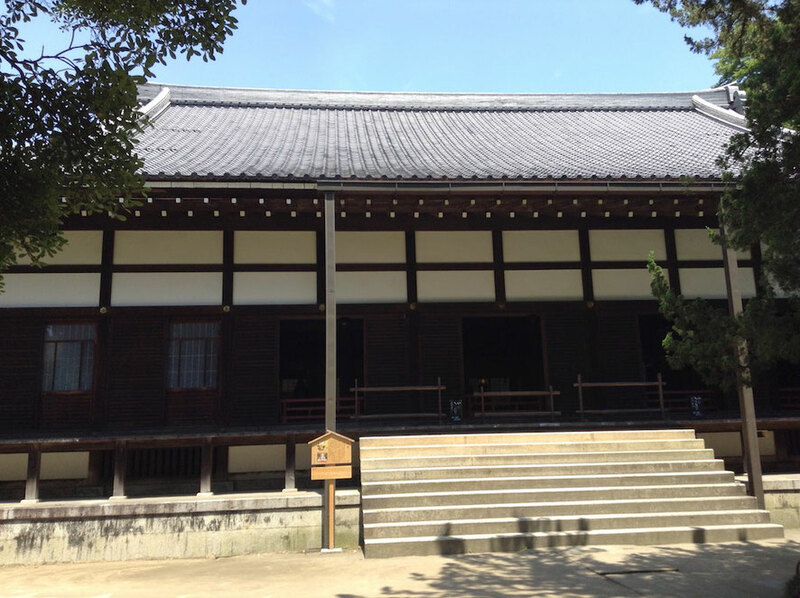 This is "Ekin-Gura", a building in which to store Ekin's masterpieces. 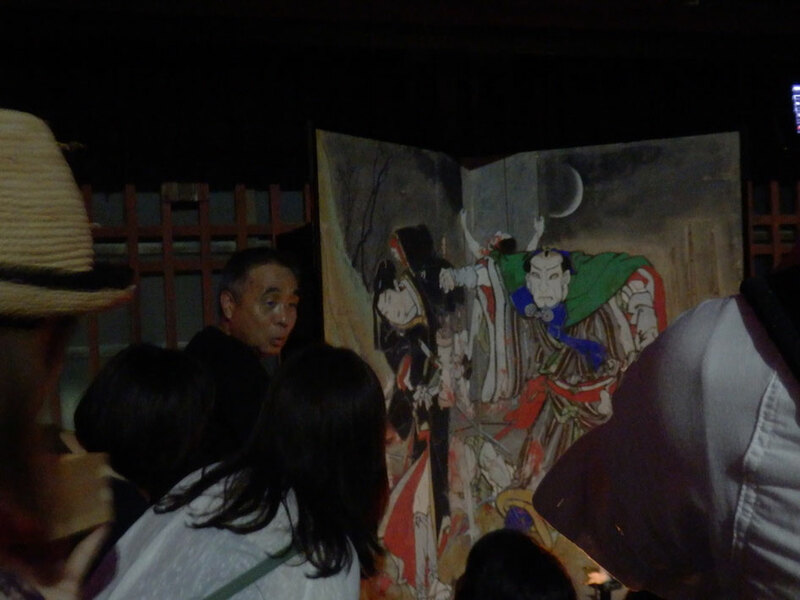 People in Akaoka Town play Kabuki which become model for Ekin's masterpieces in Bentenza at Ekin Festival. 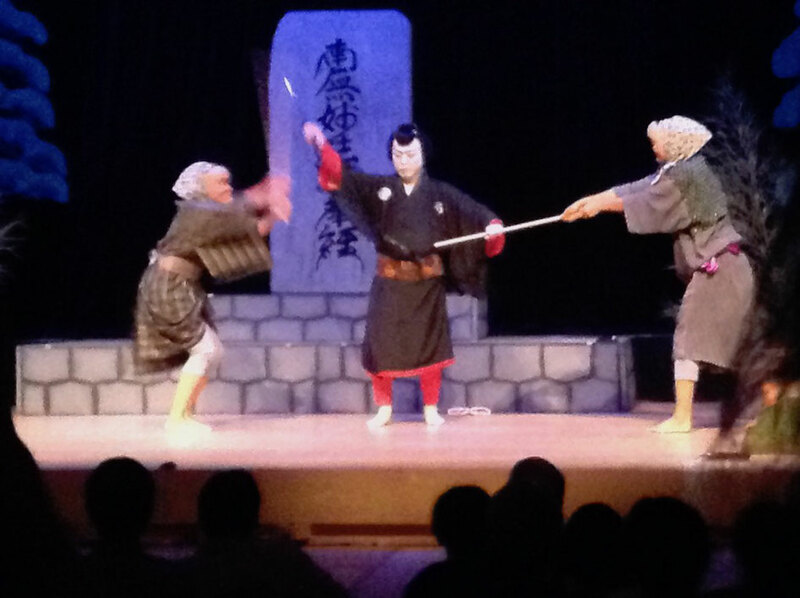 Bentenza also holds some another events of Kabuki, Kyogen and Rakugo. 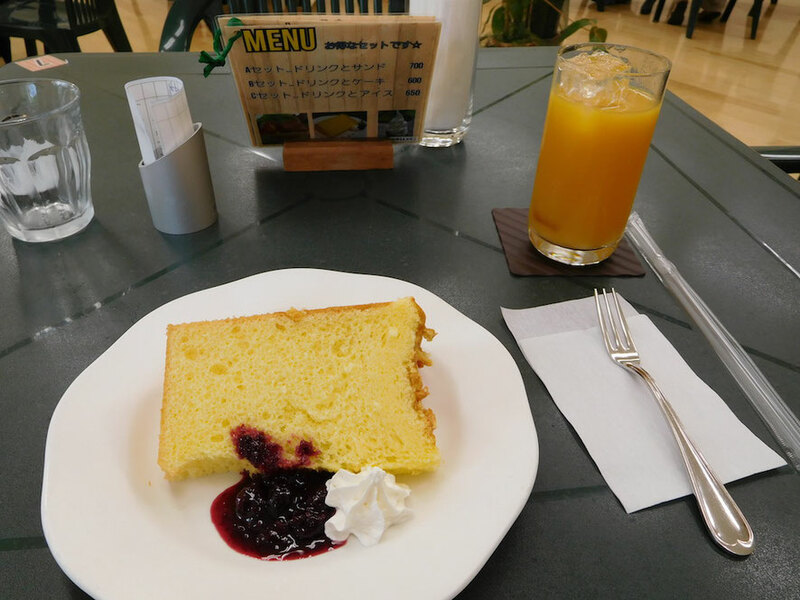 Berry dance and bingo game are held at a live place. 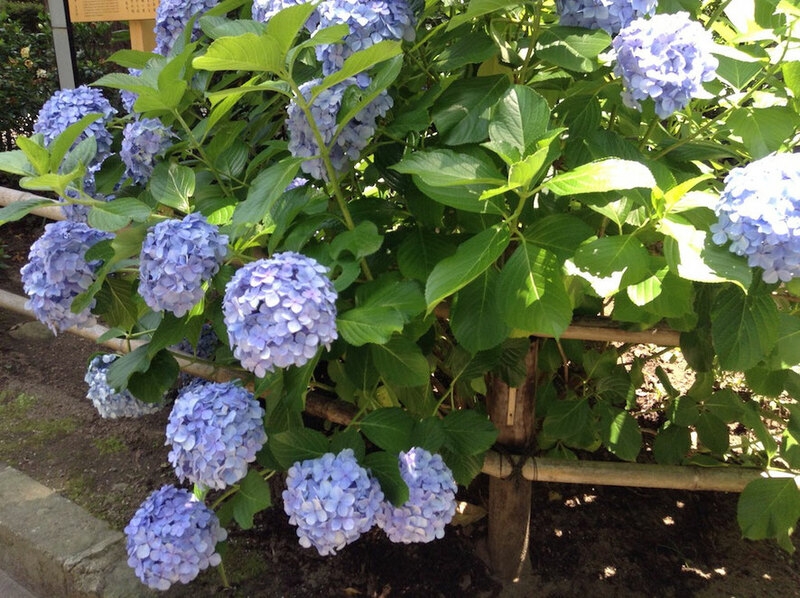 It is full of excitement.